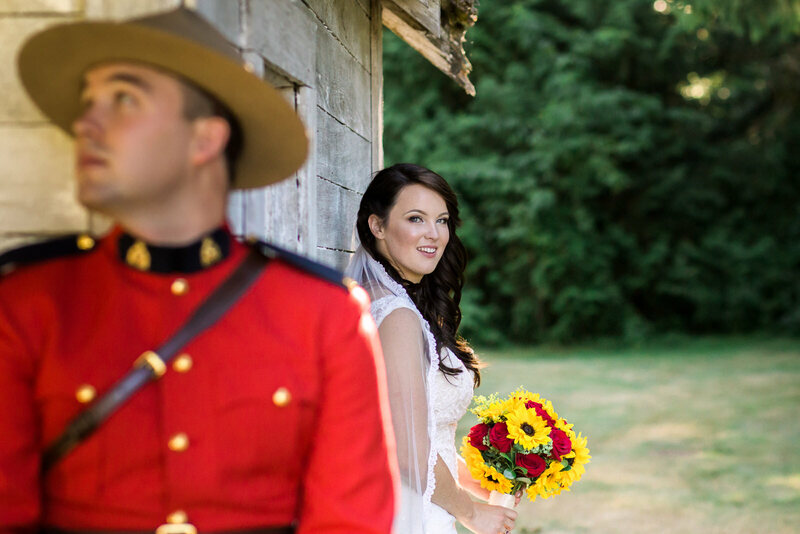 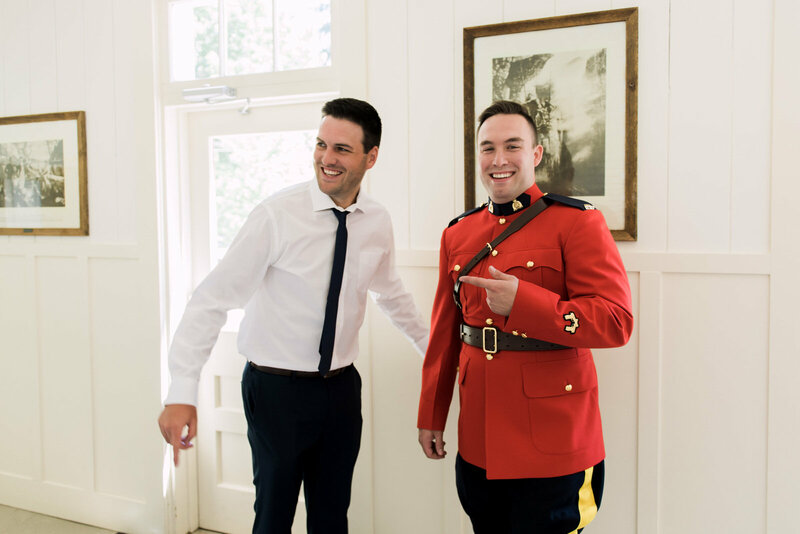 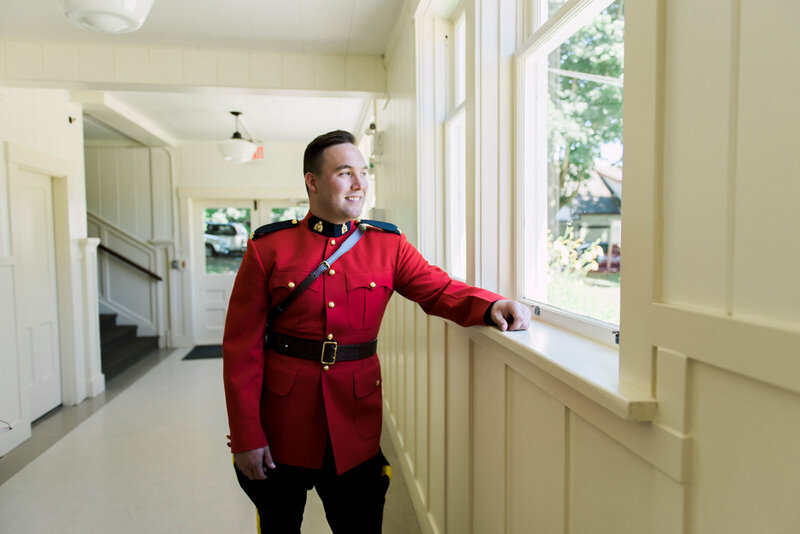 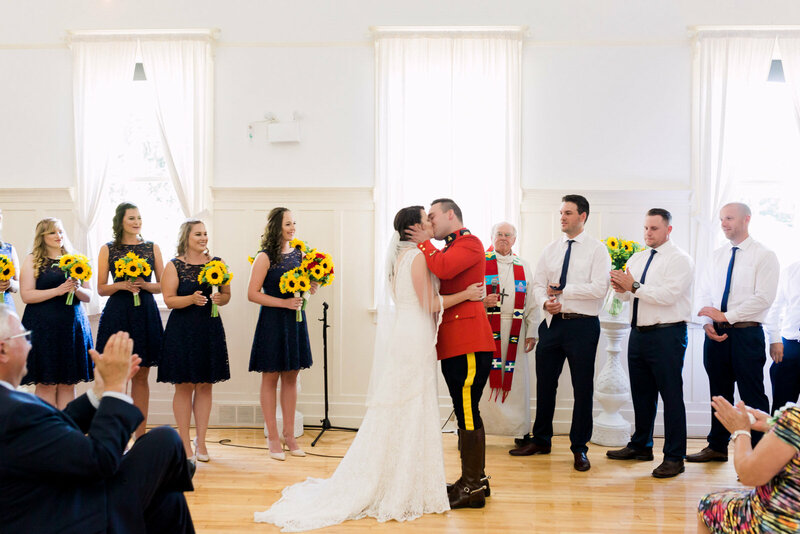 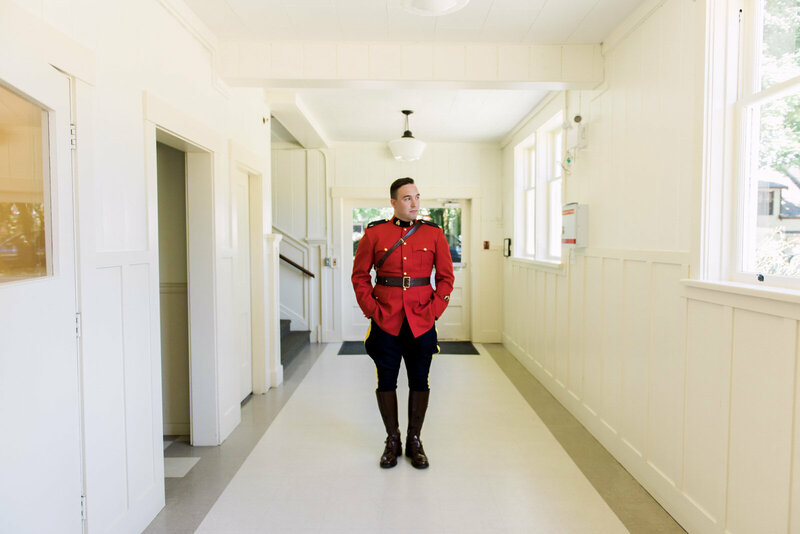 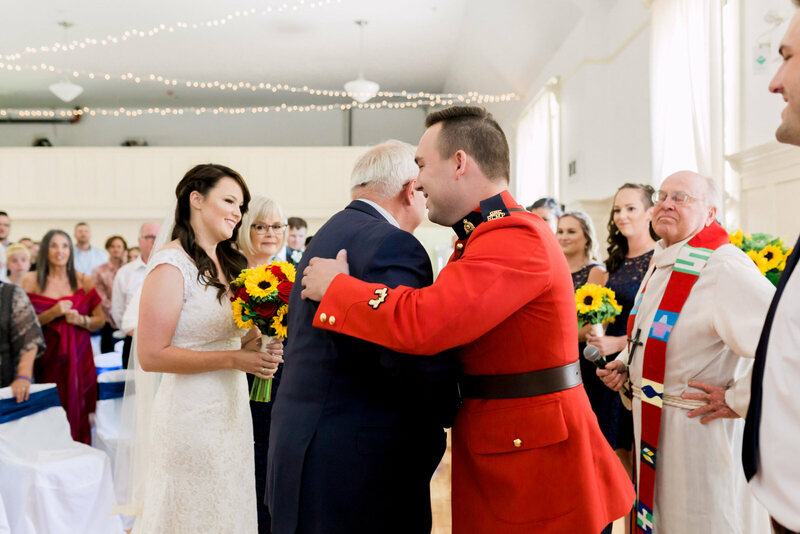 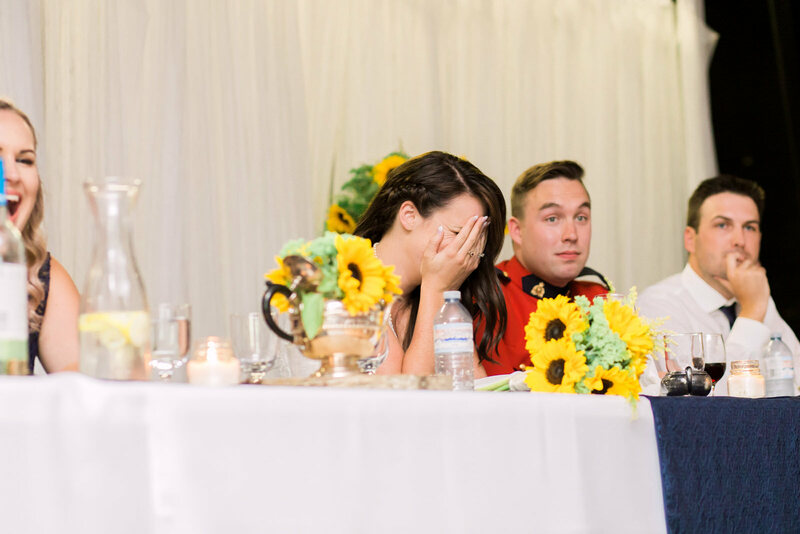 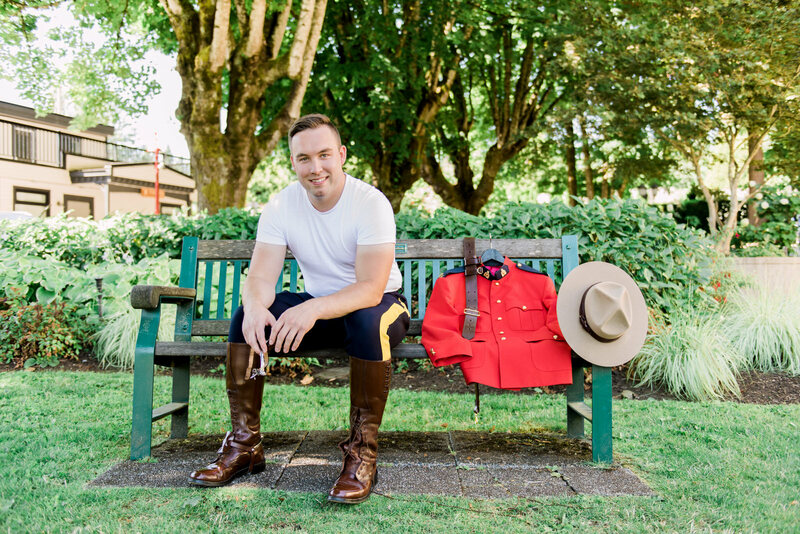 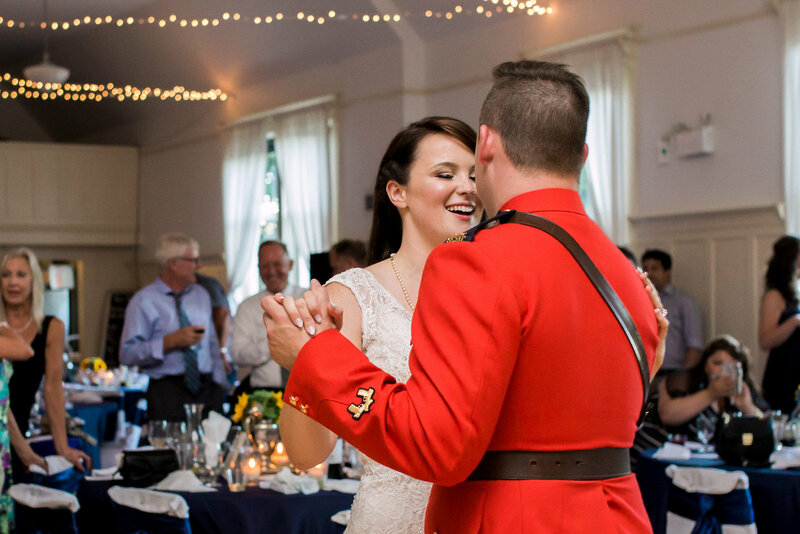 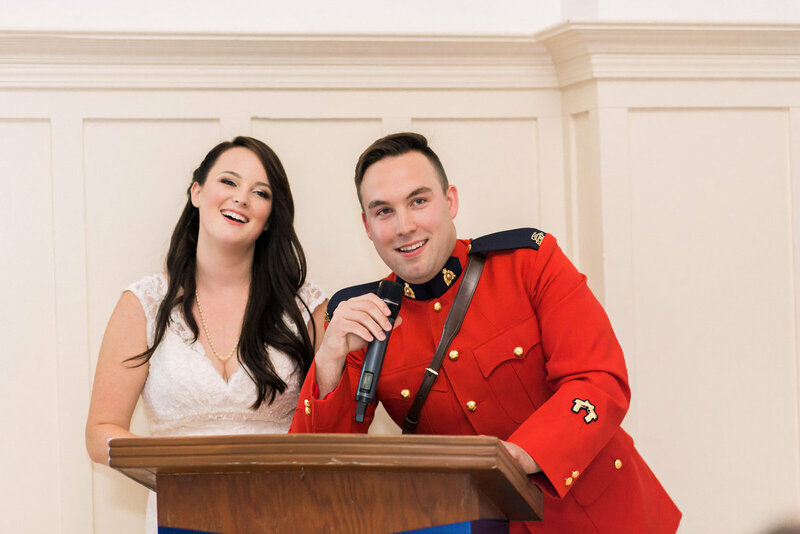 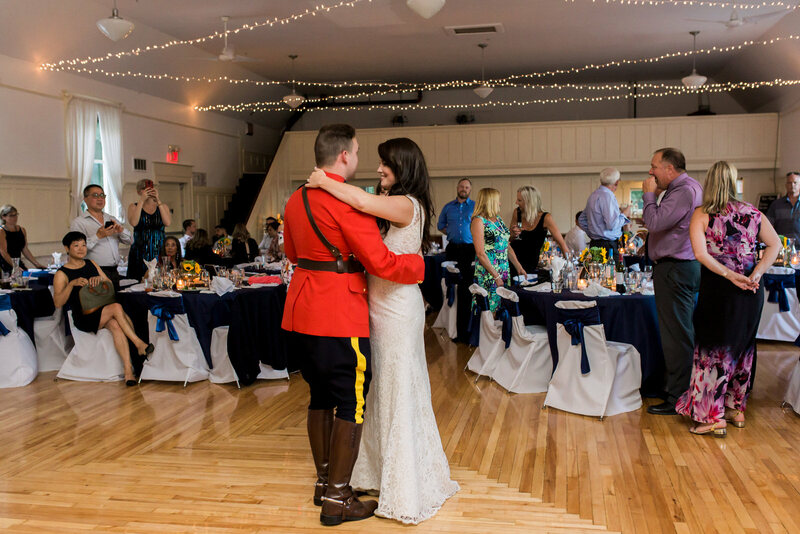 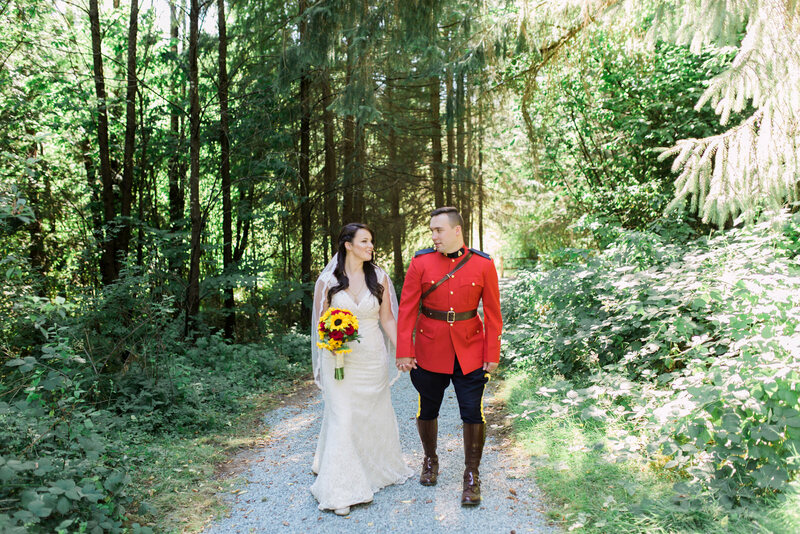 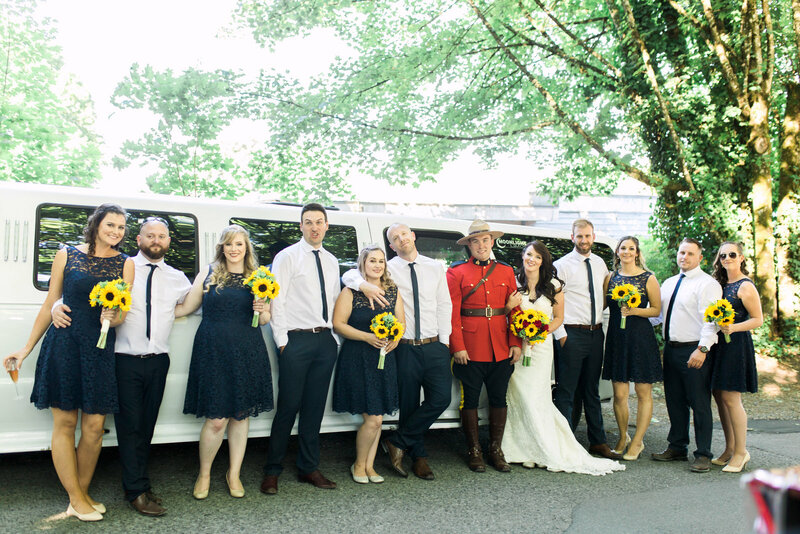 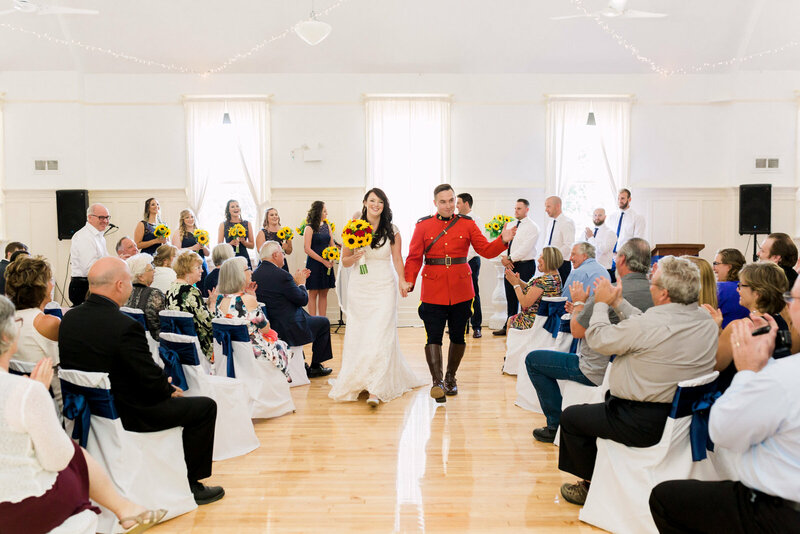 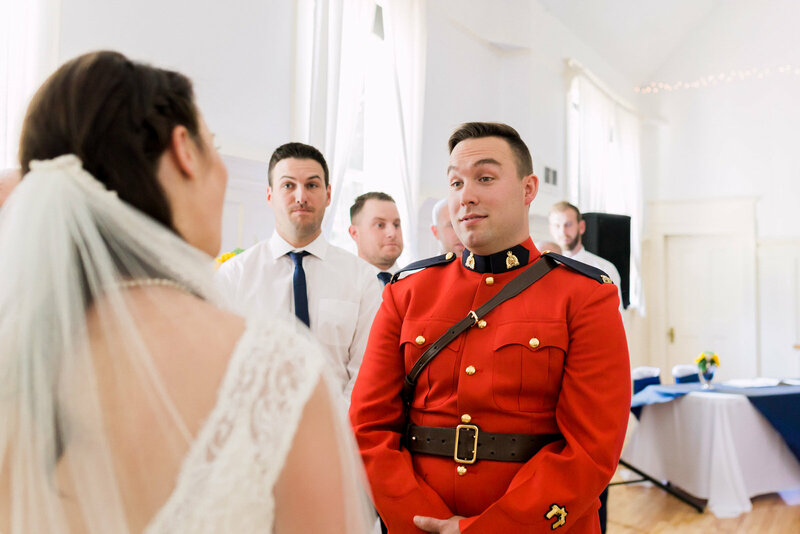 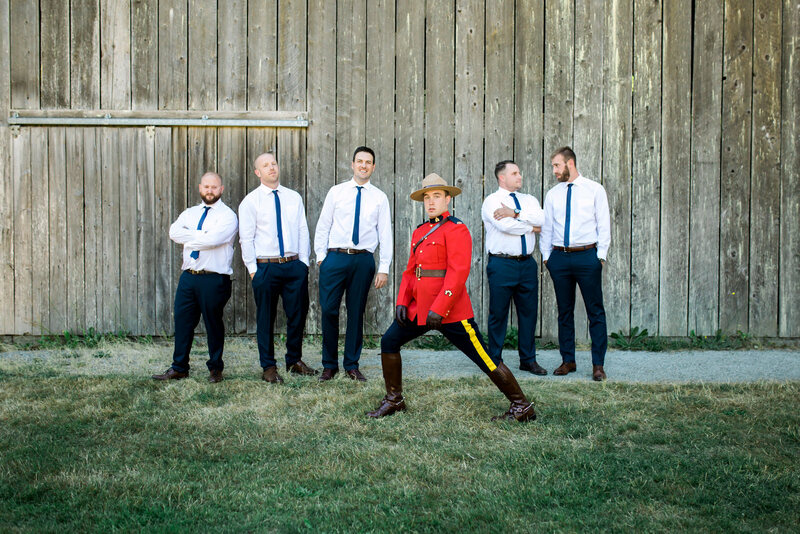 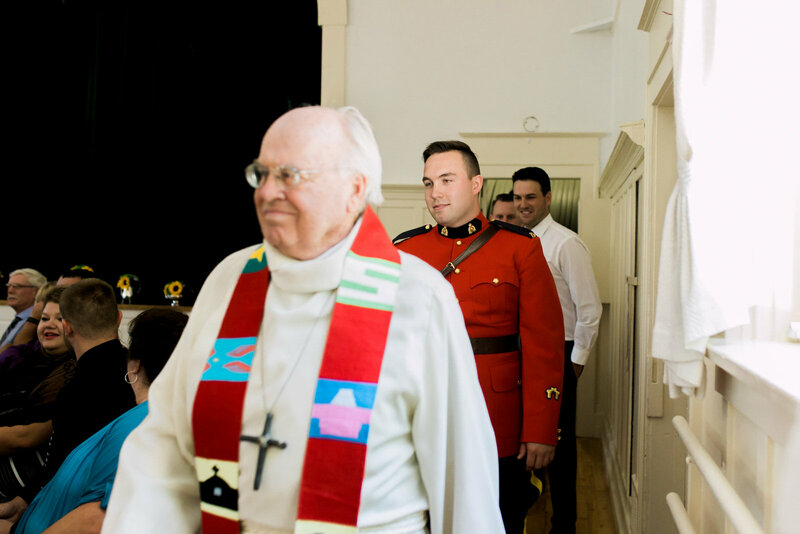 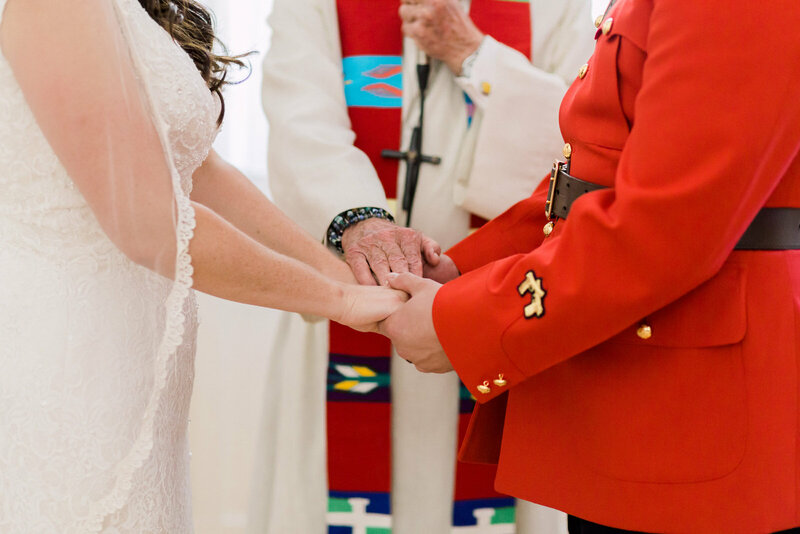 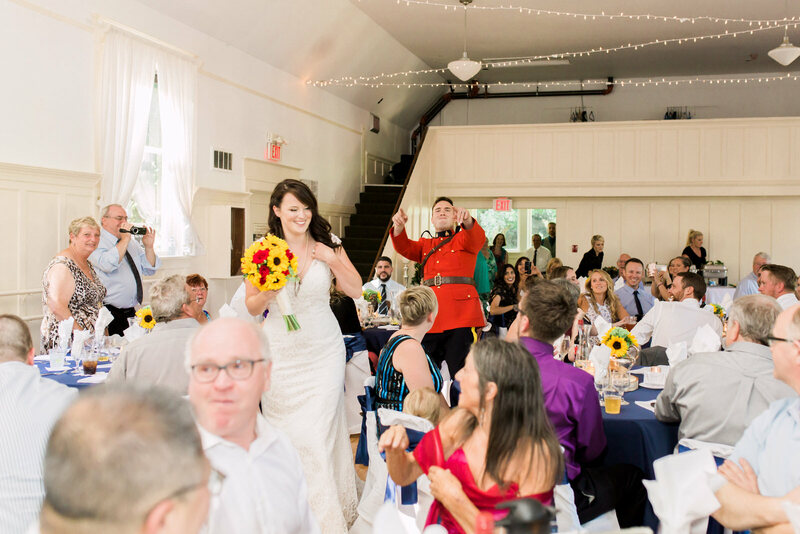 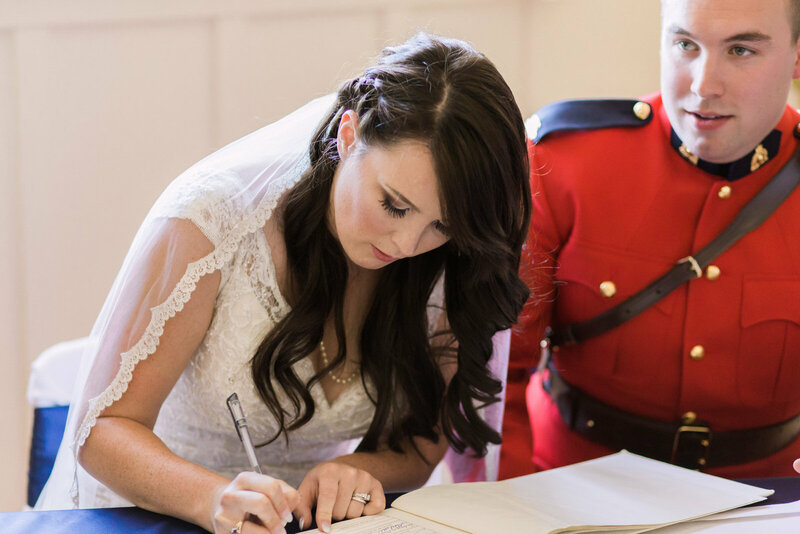 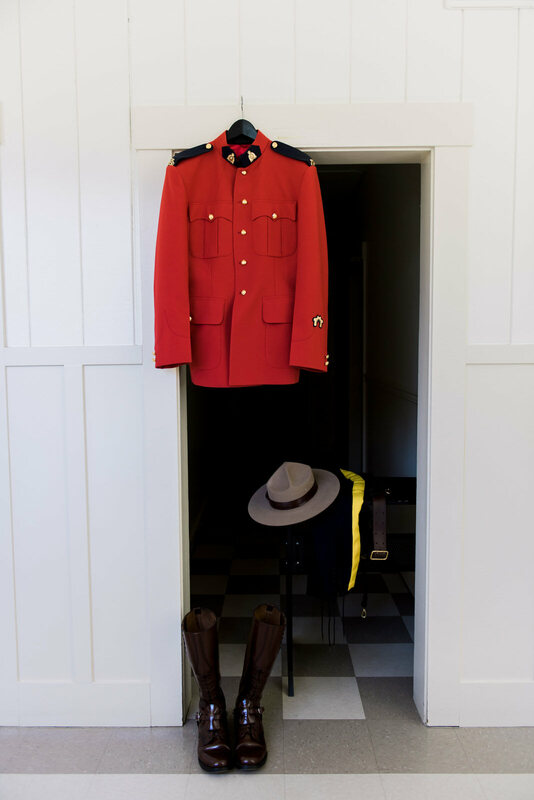 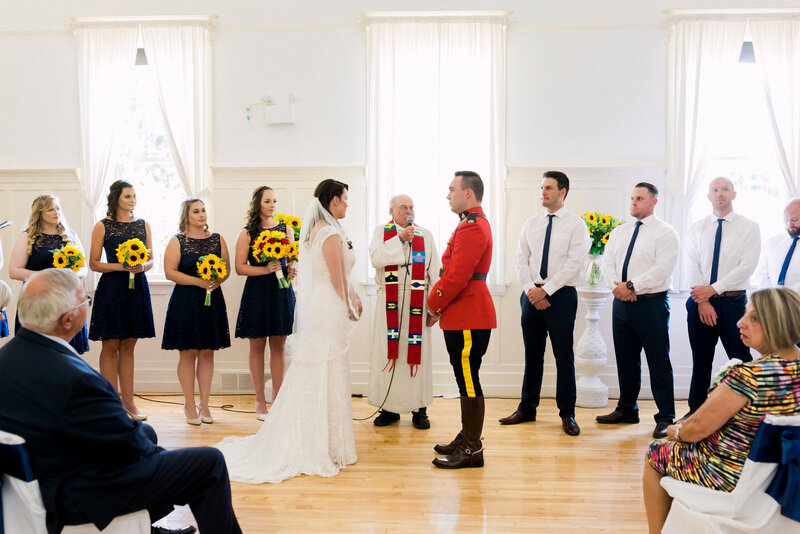 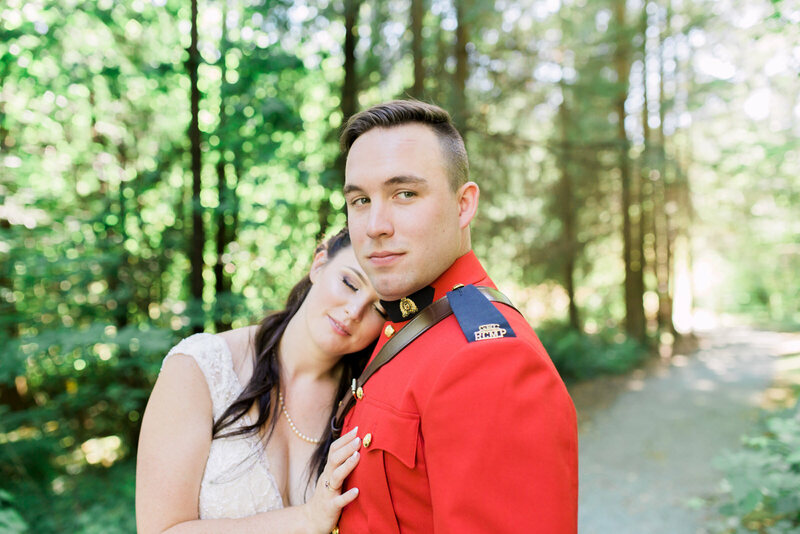 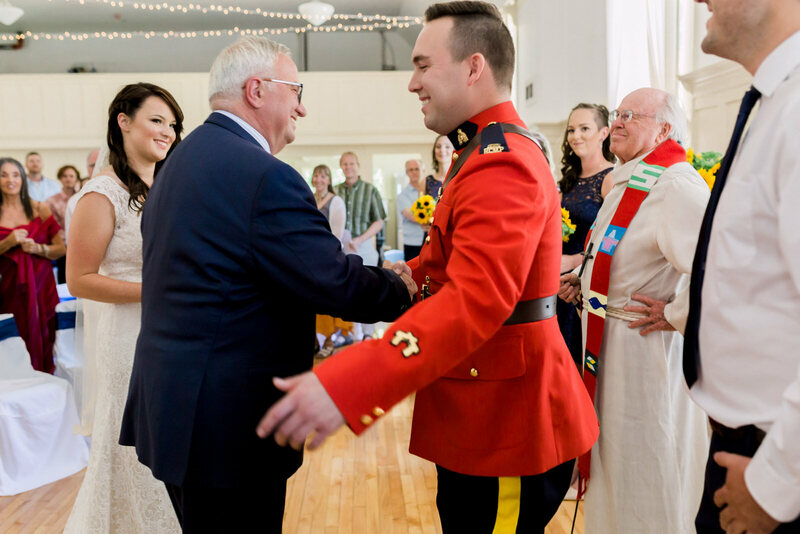 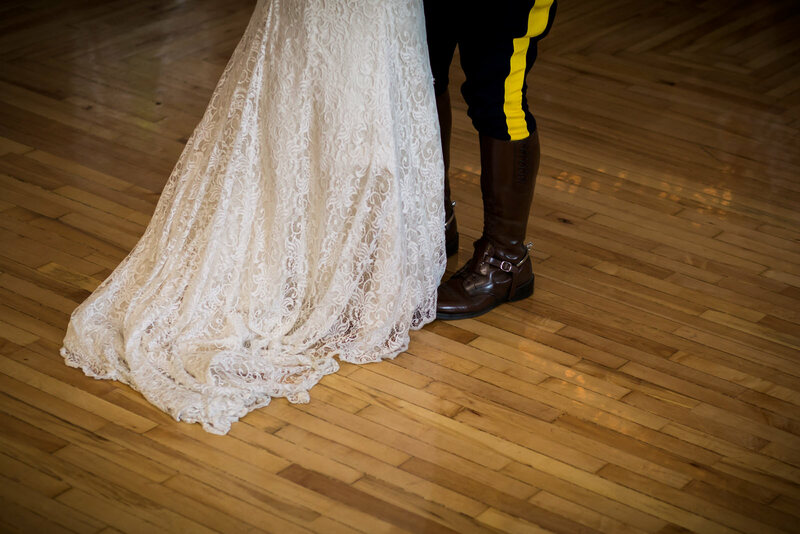 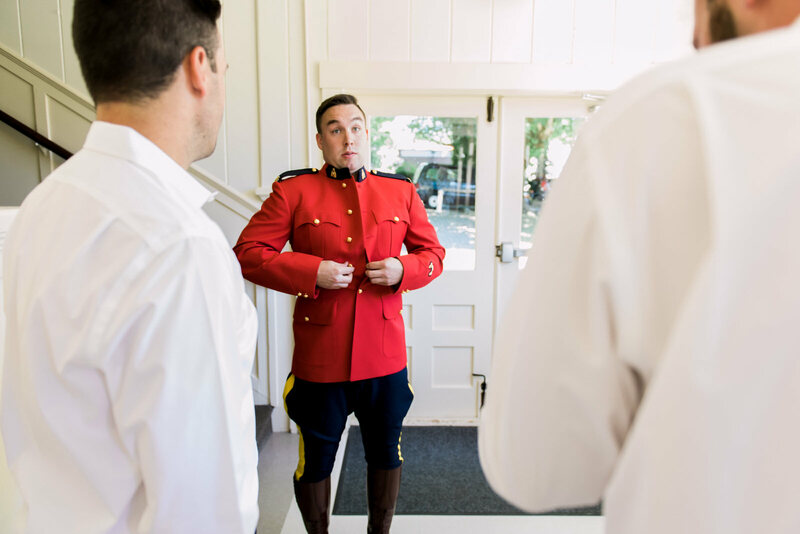 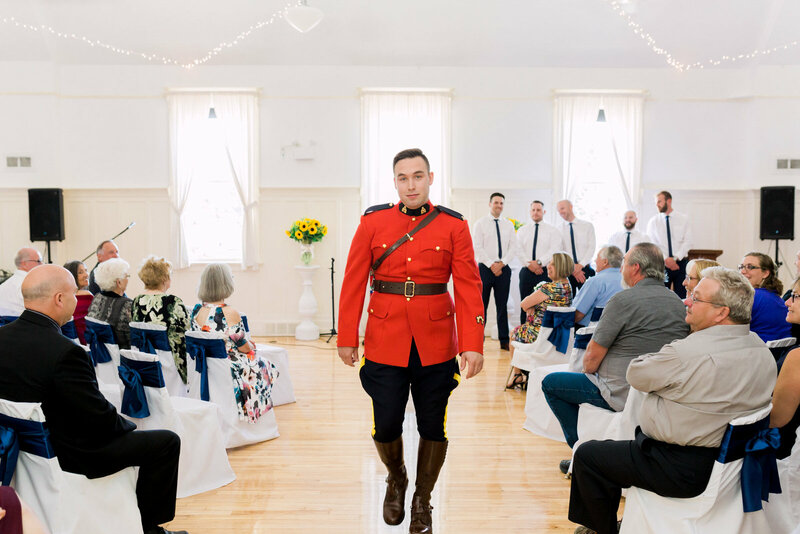 You really can’t get much more quintessential Canadian wedding photography than when a Mountie marries an elementary school teacher on a B.C. 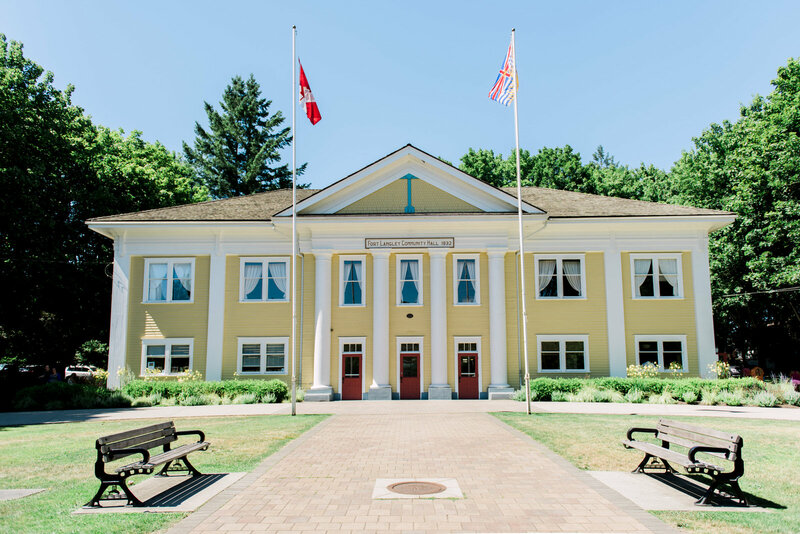 heritage property decorated with nearly 90-year-old maple trees. 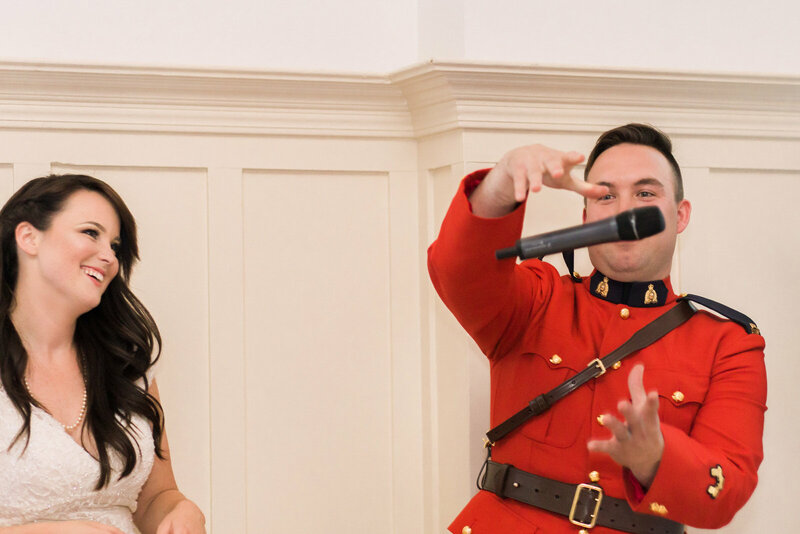 Now, that’s worth a mic drop! 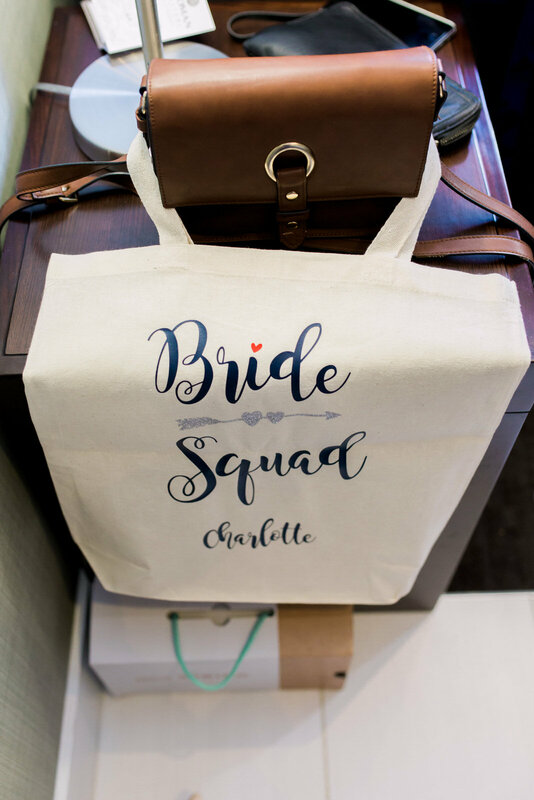 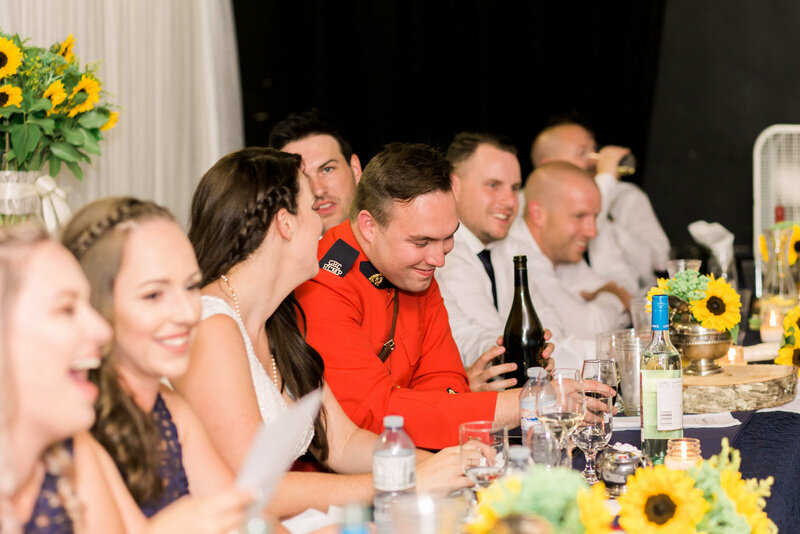 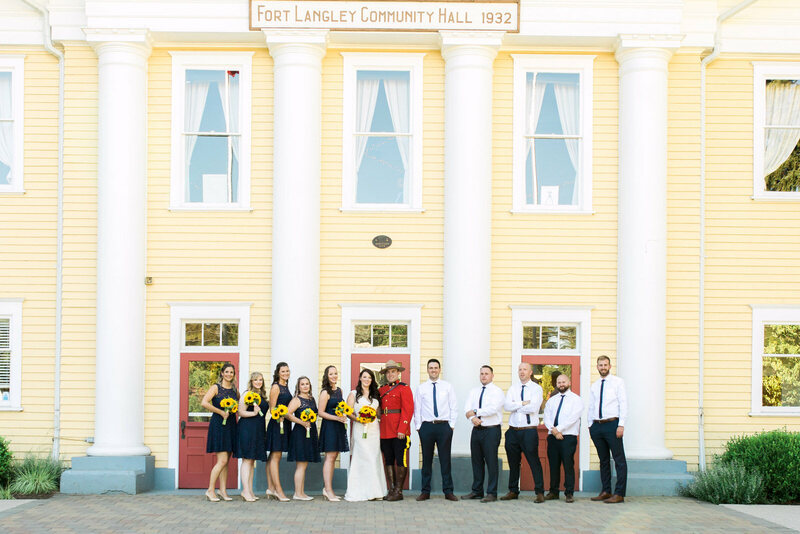 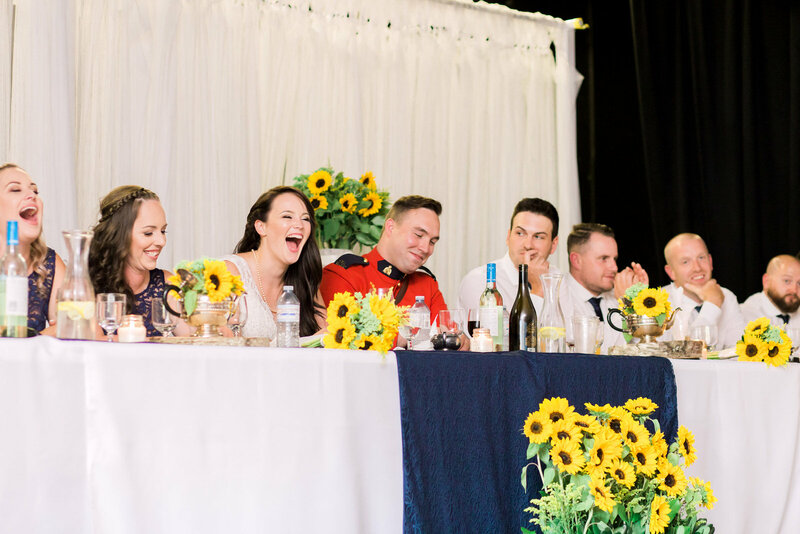 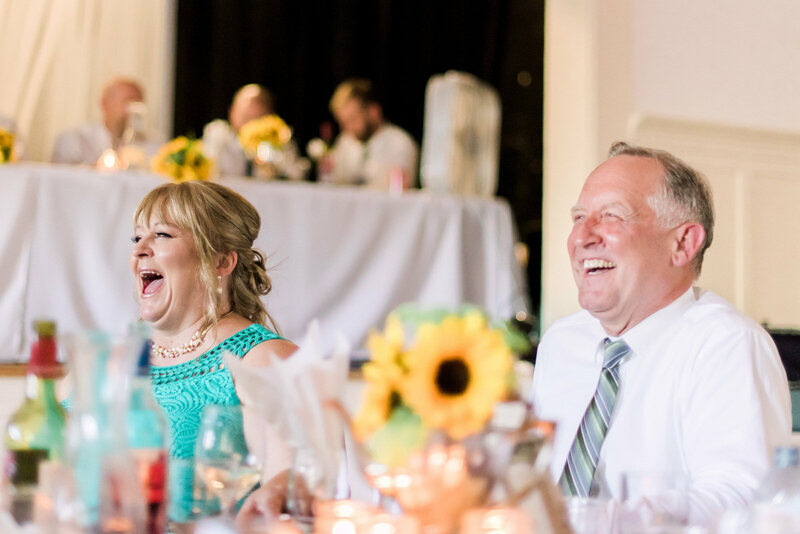 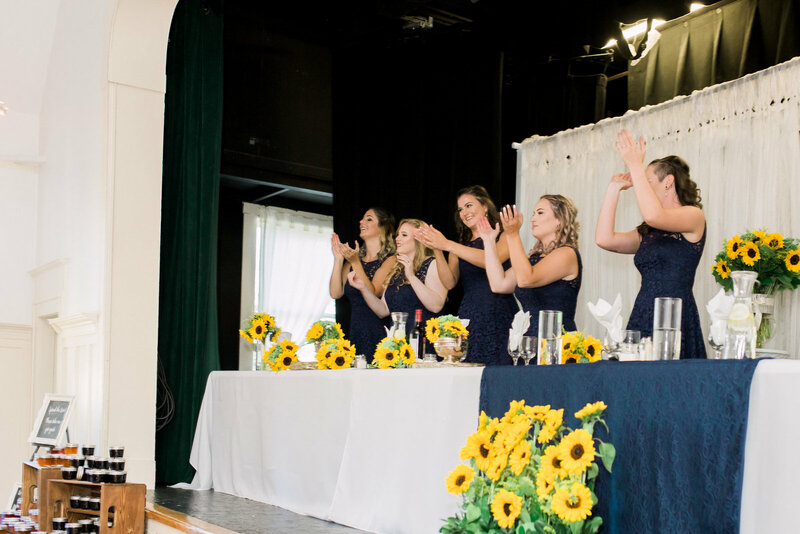 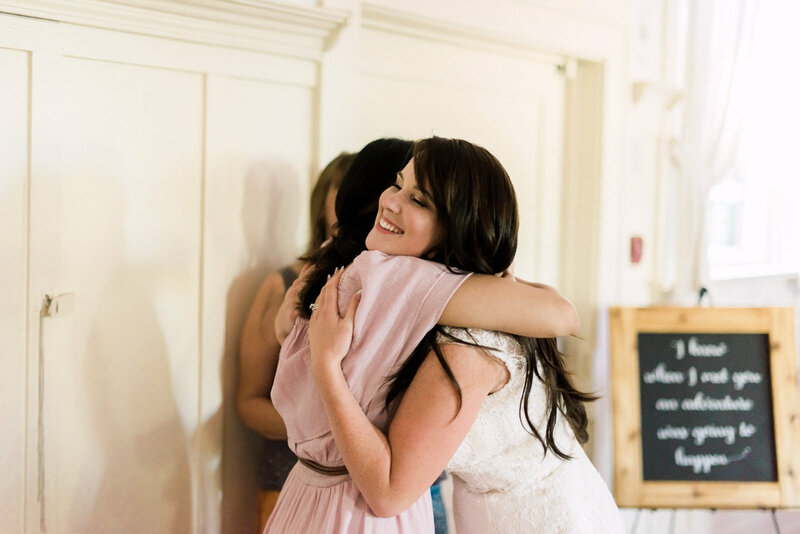 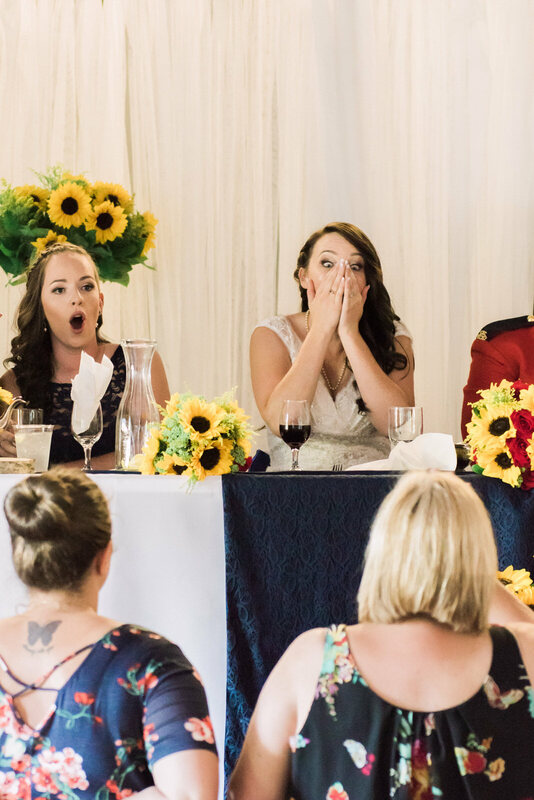 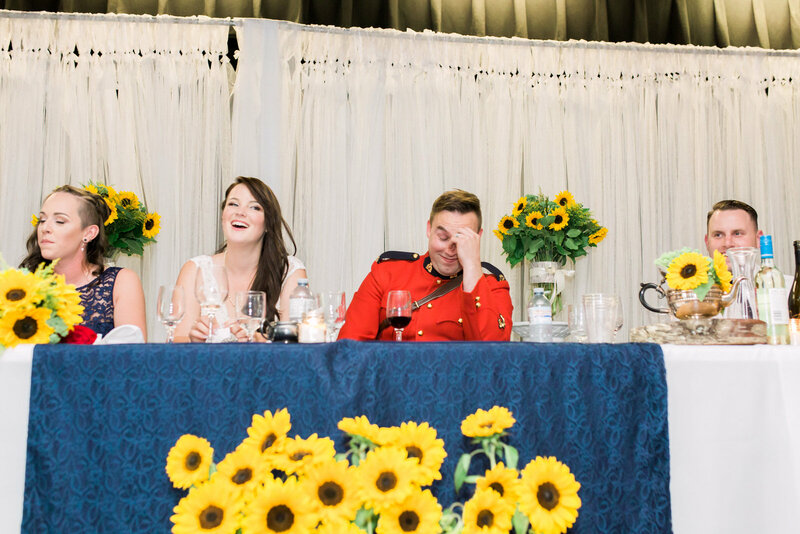 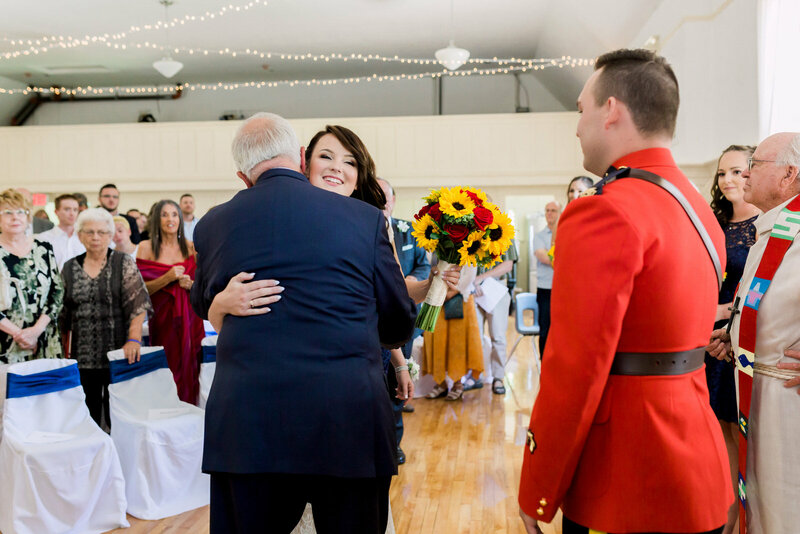 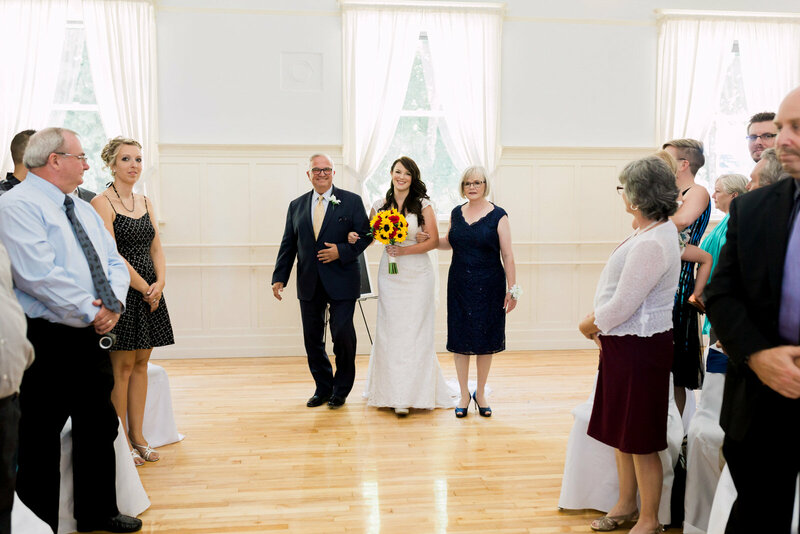 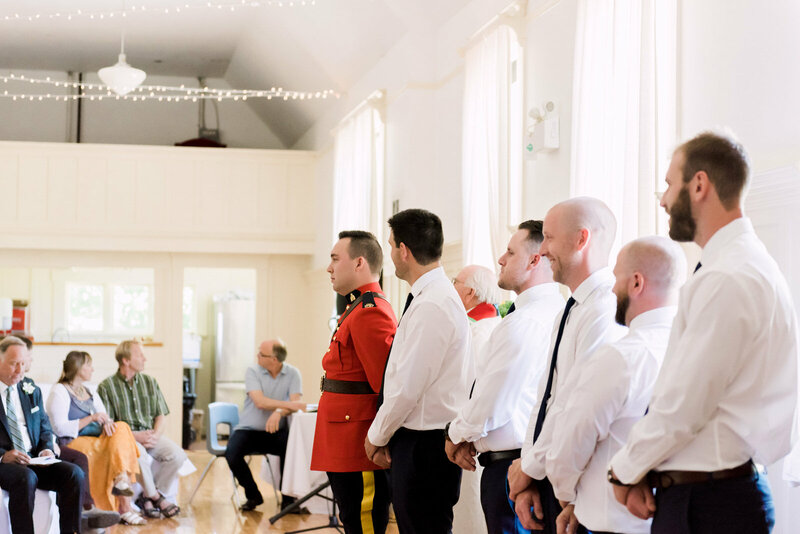 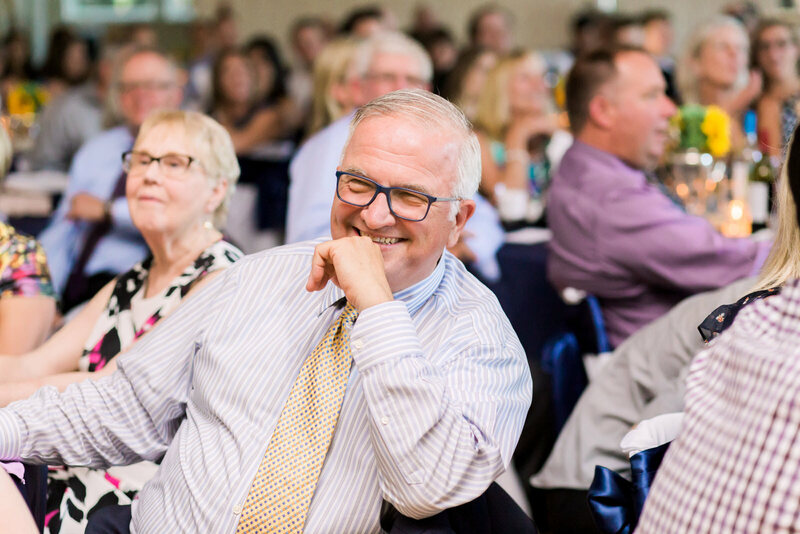 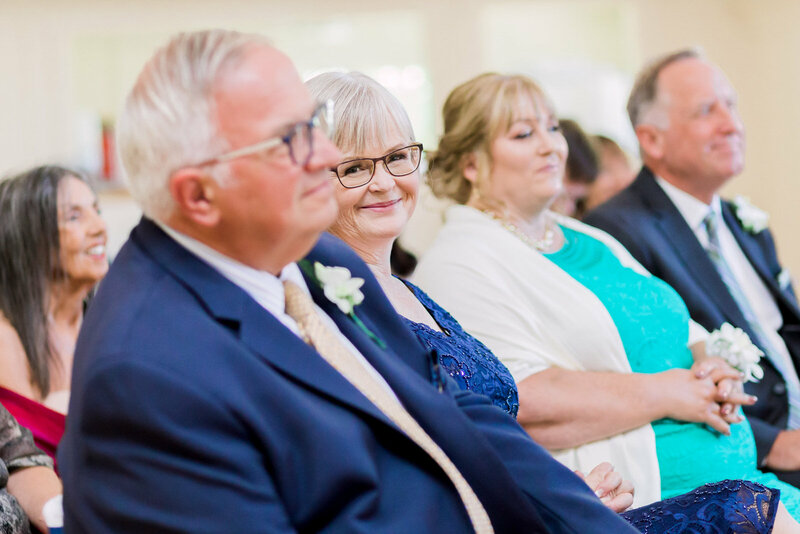 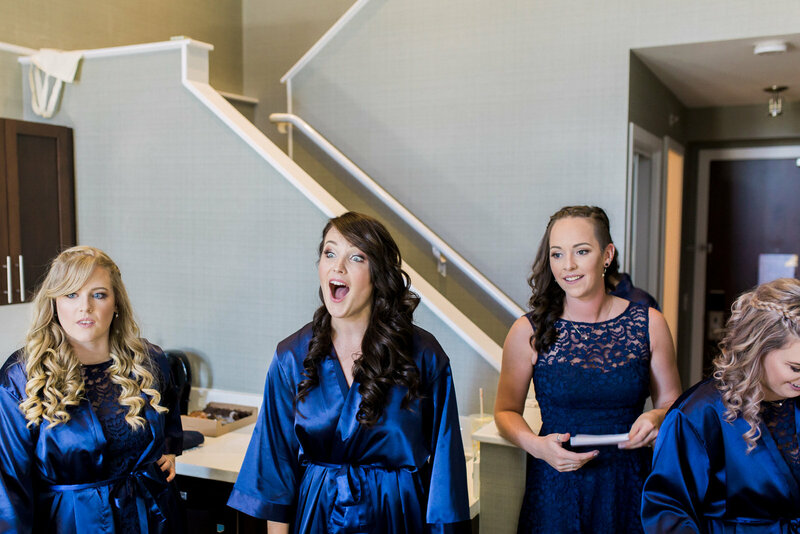 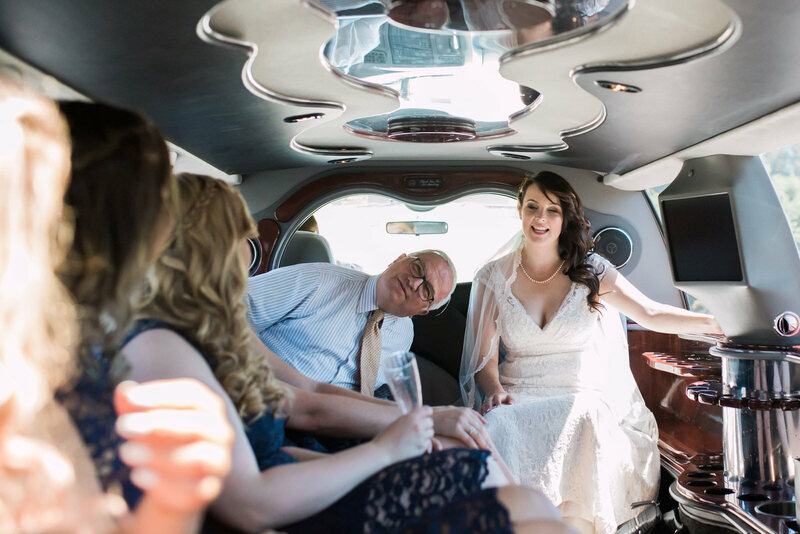 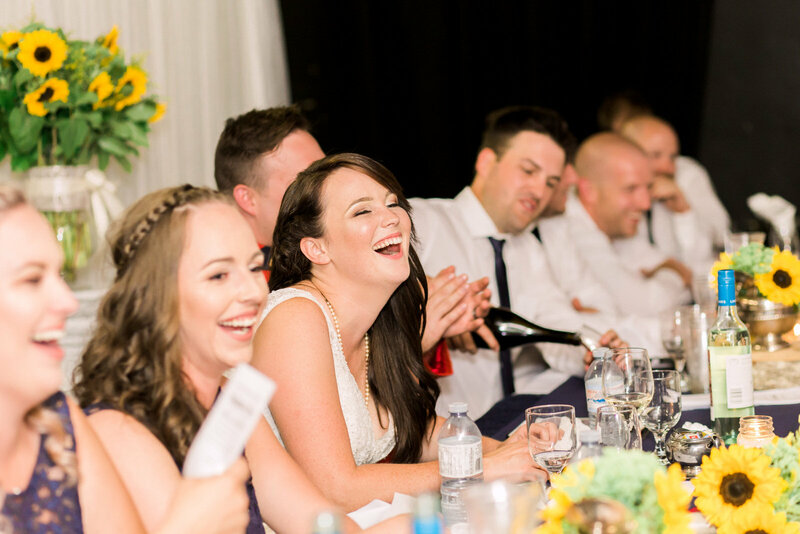 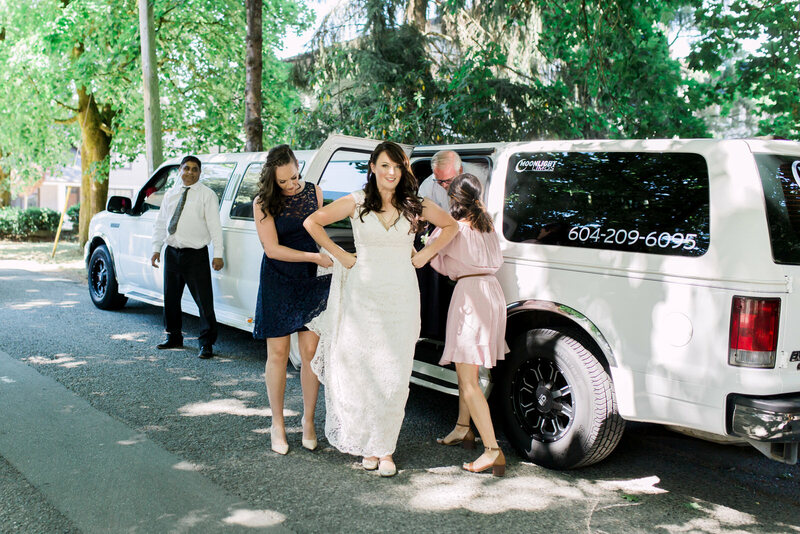 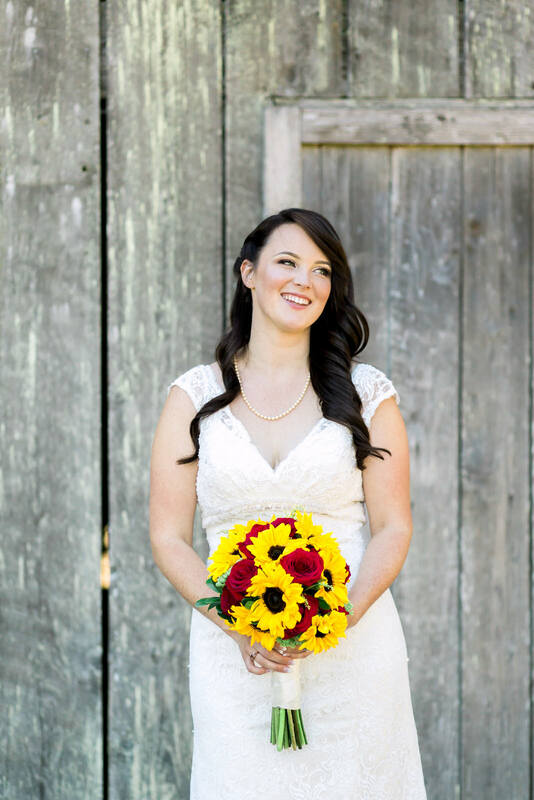 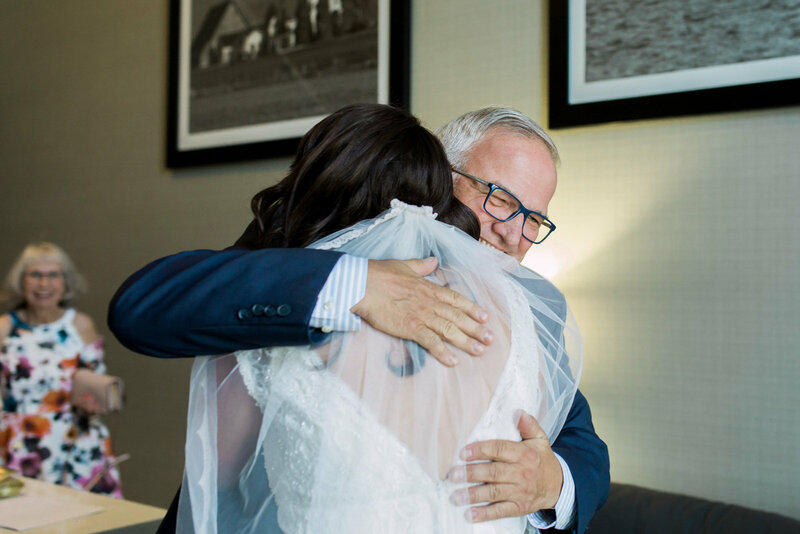 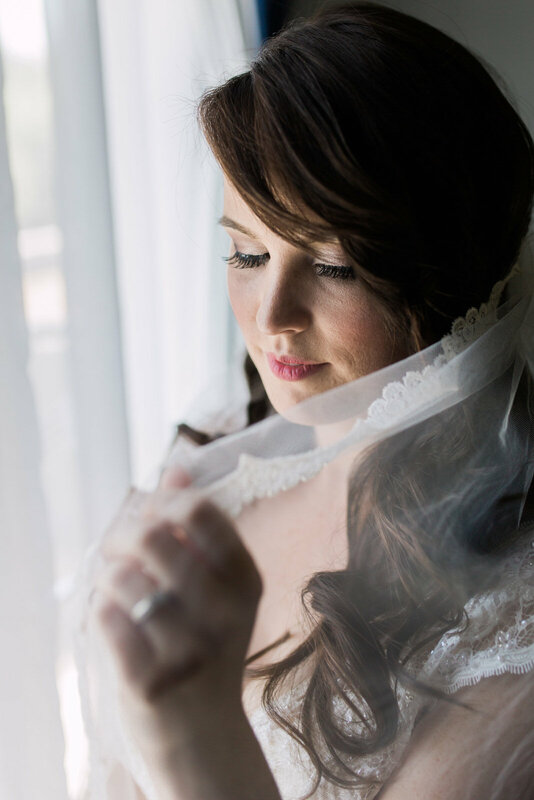 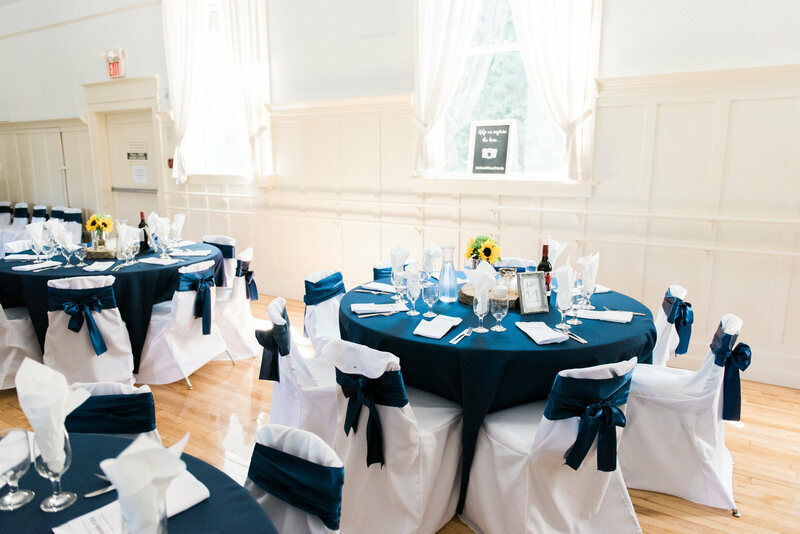 Kristin & Matt married on July 29th at the Fort Langley Community Hall with family & friends who laugh just as hard as they do. 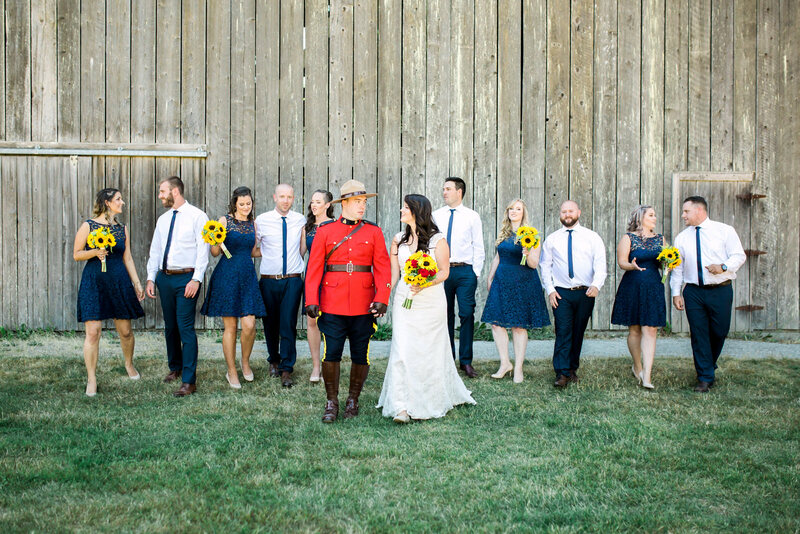 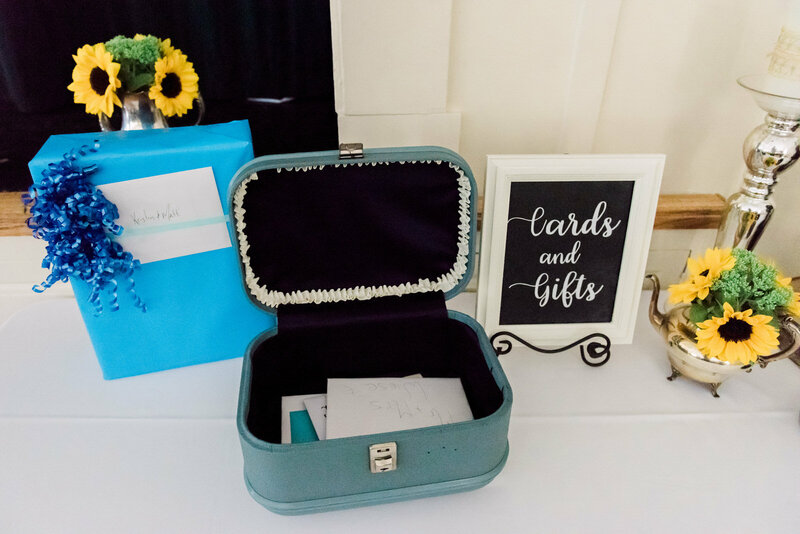 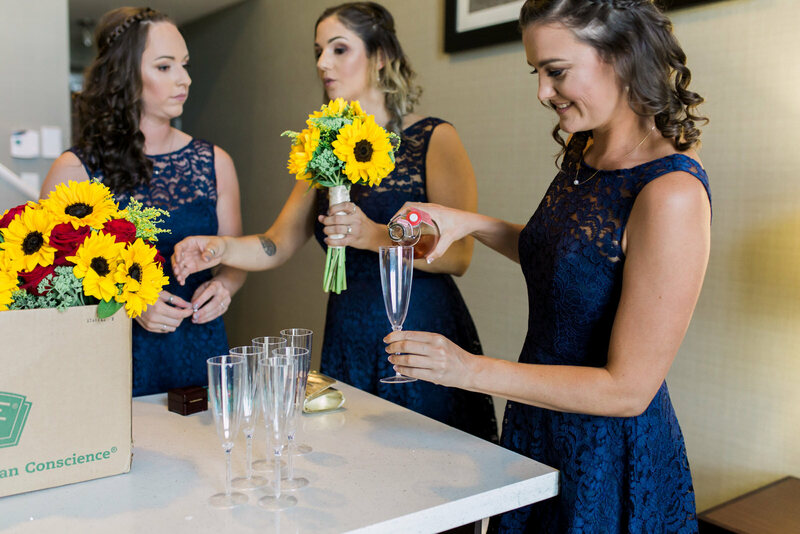 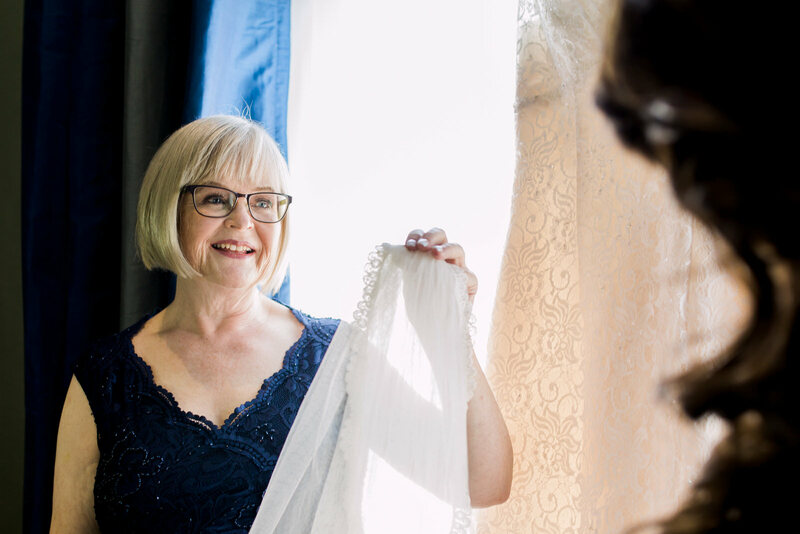 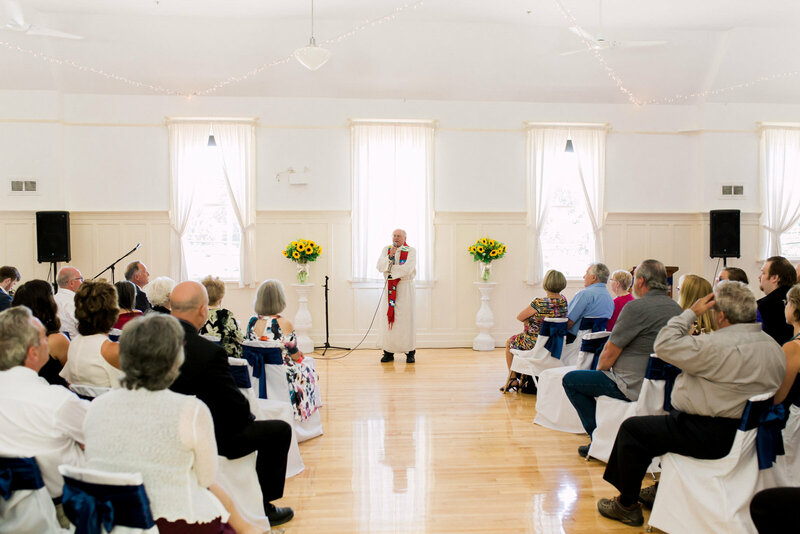 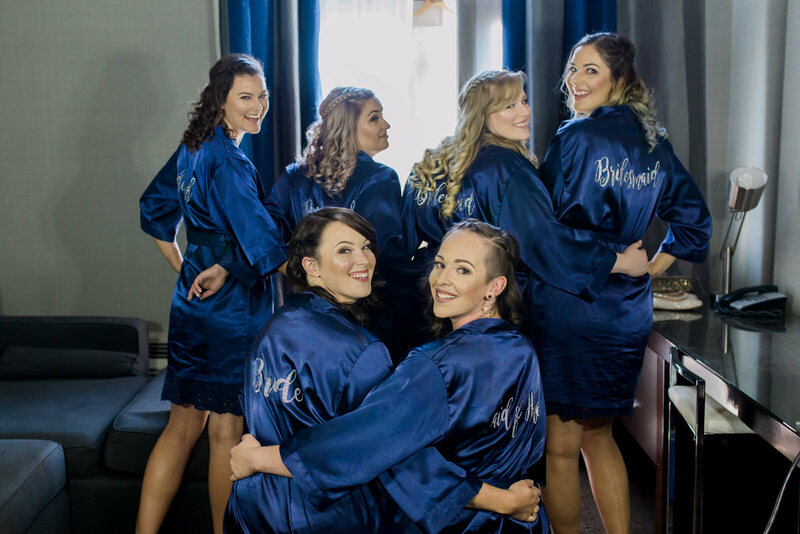 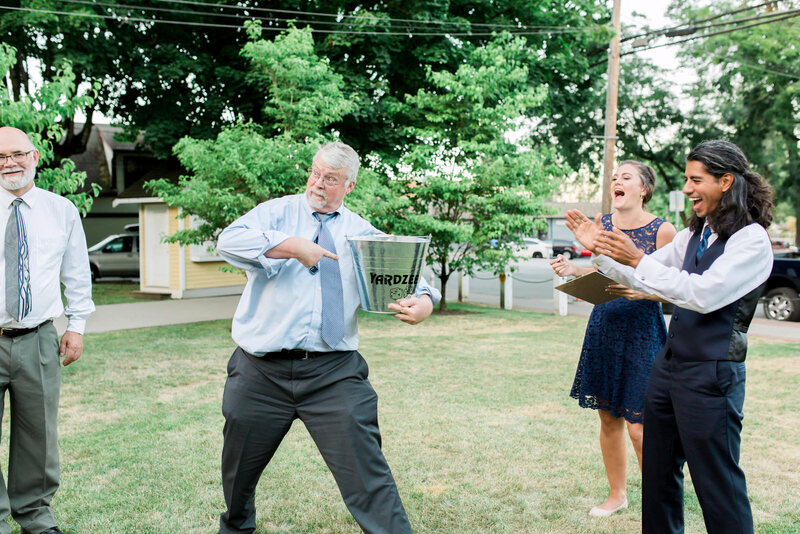 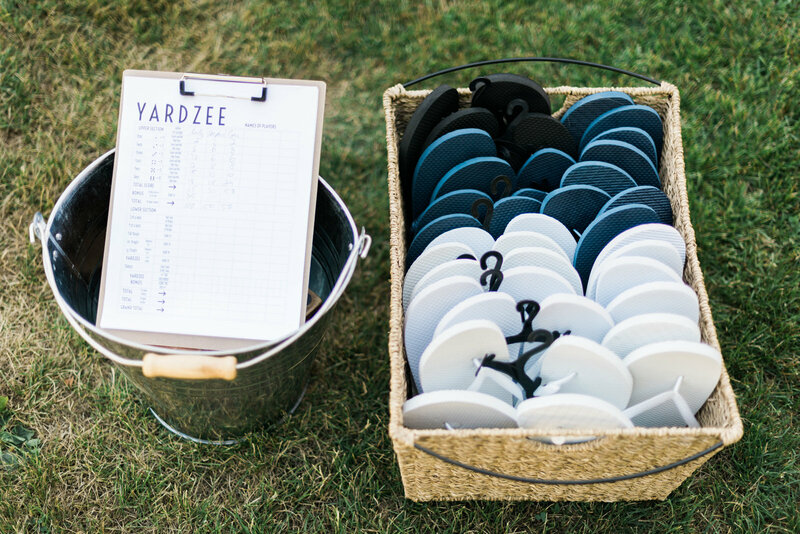 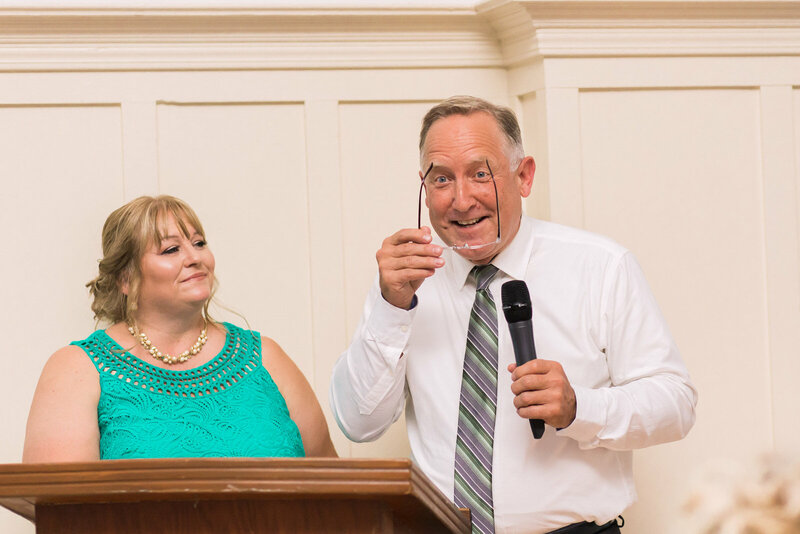 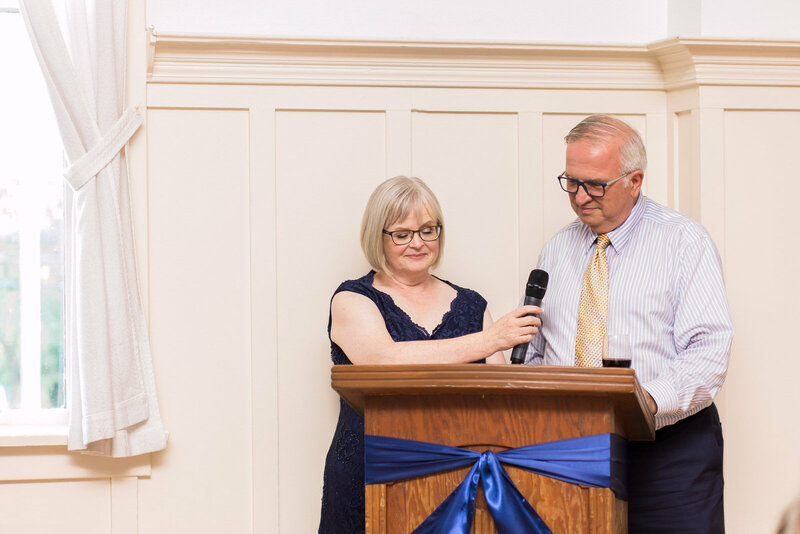 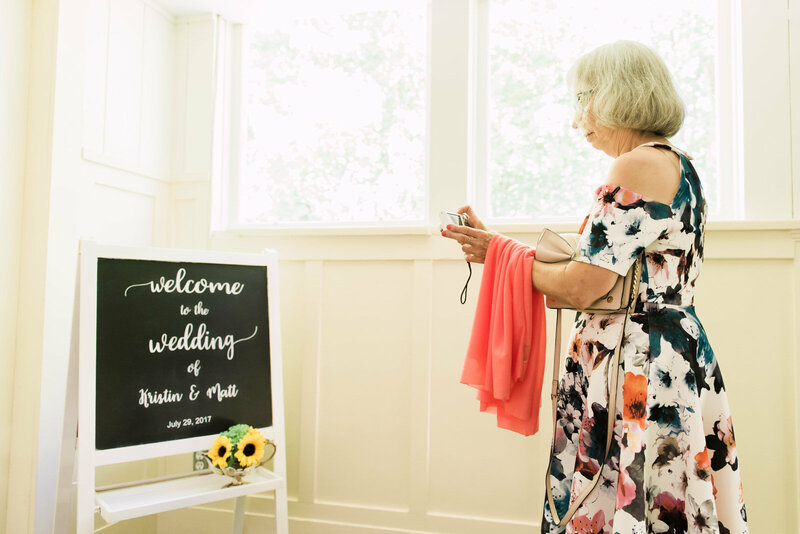 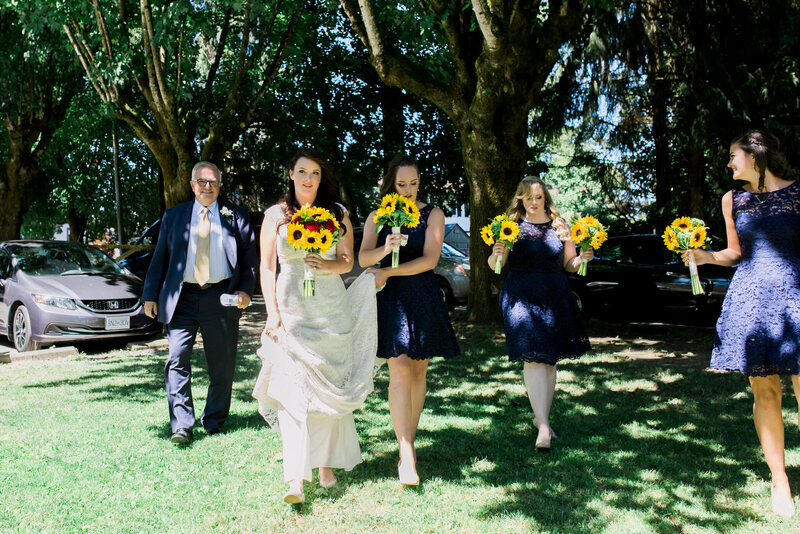 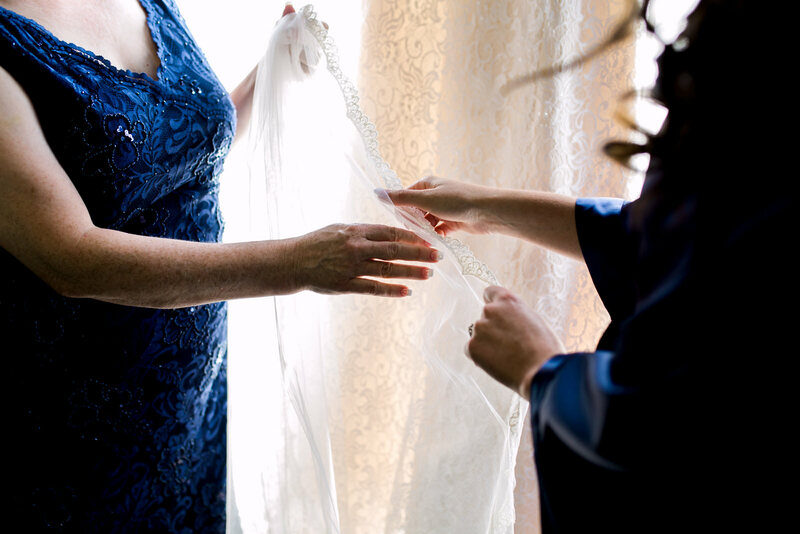 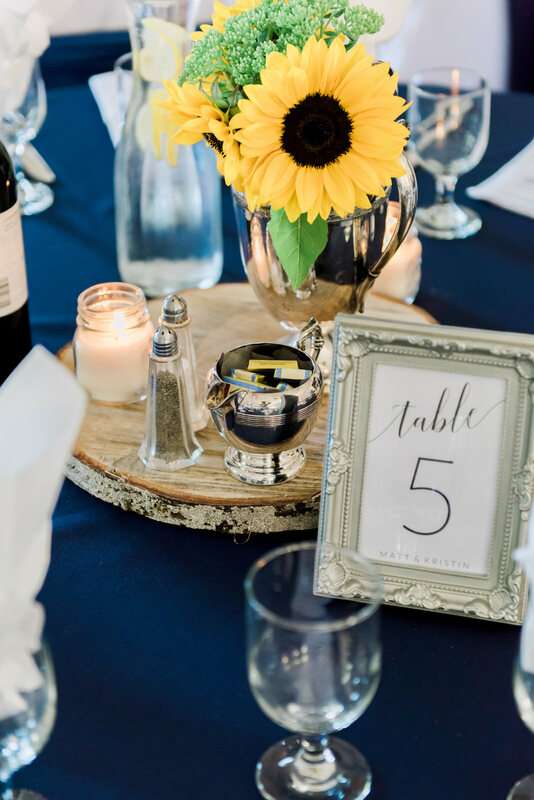 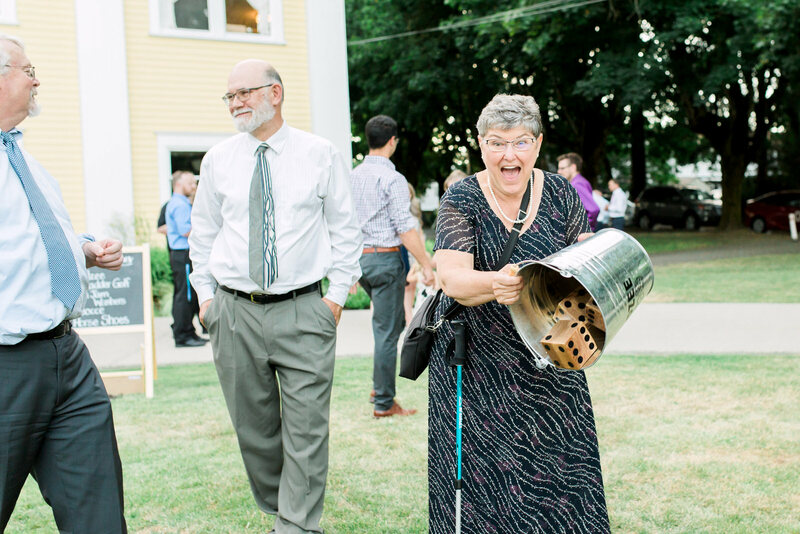 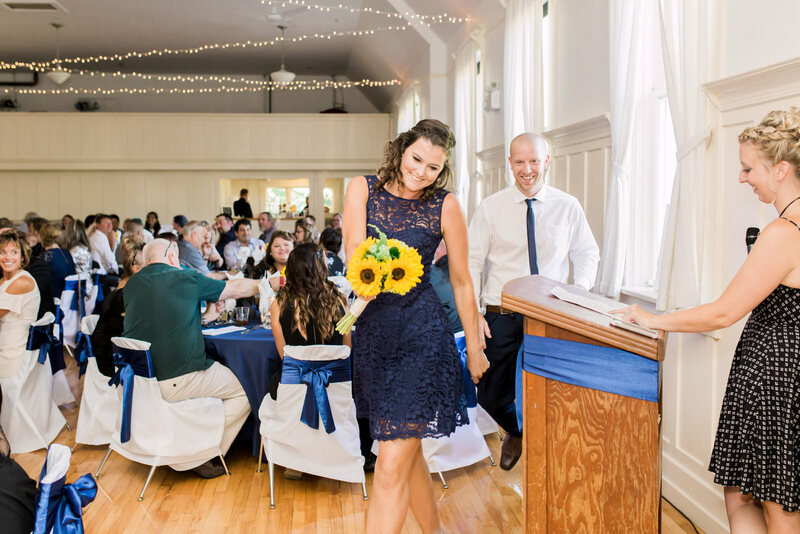 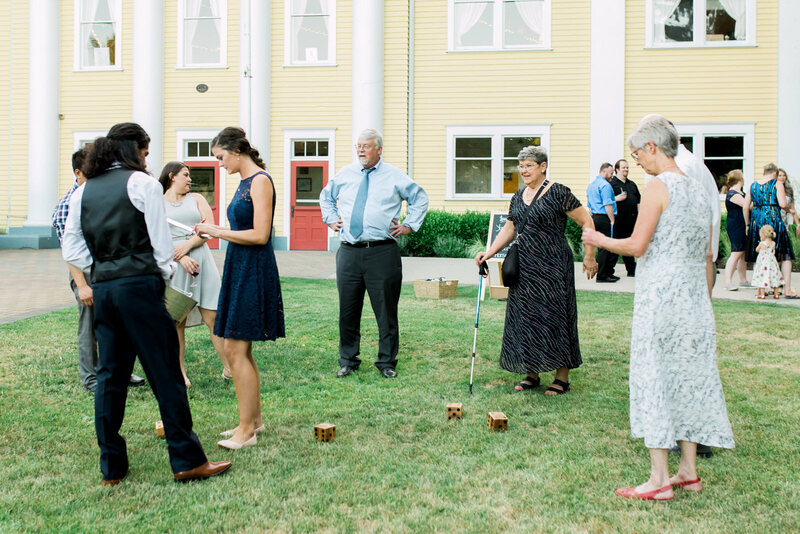 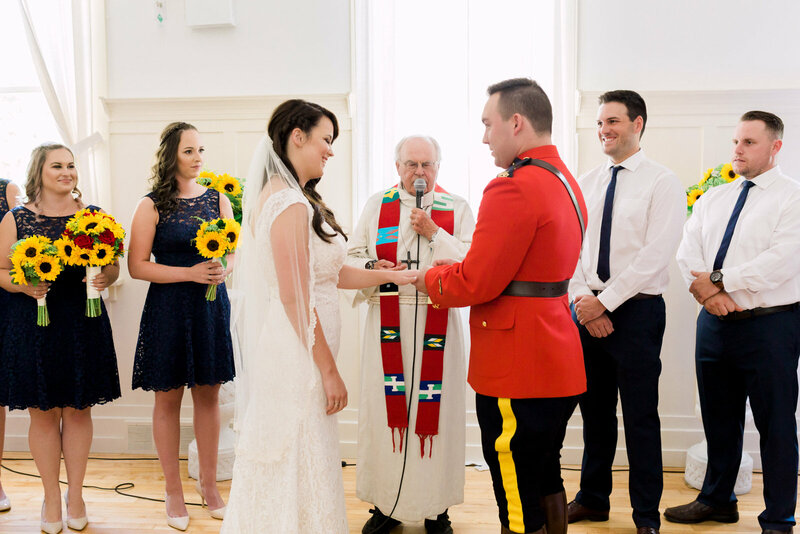 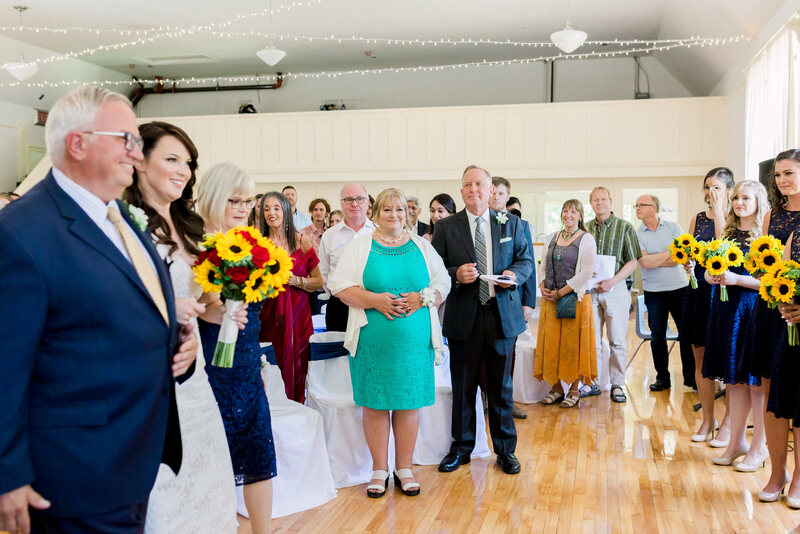 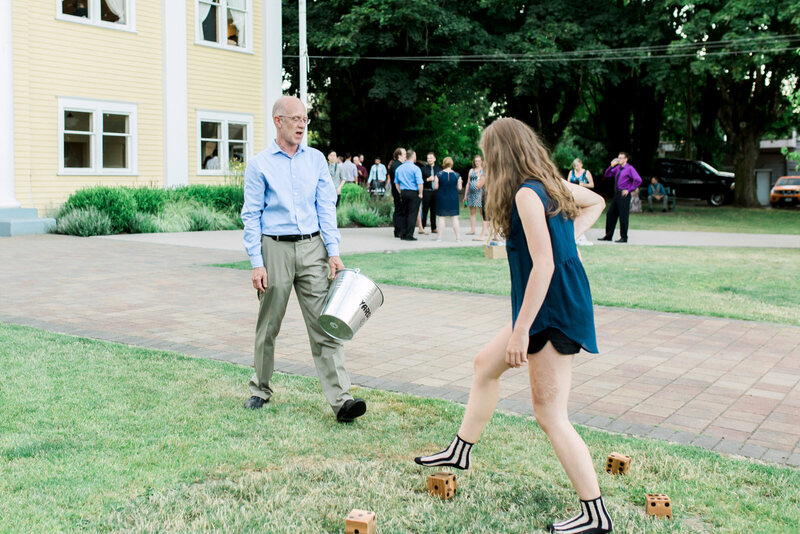 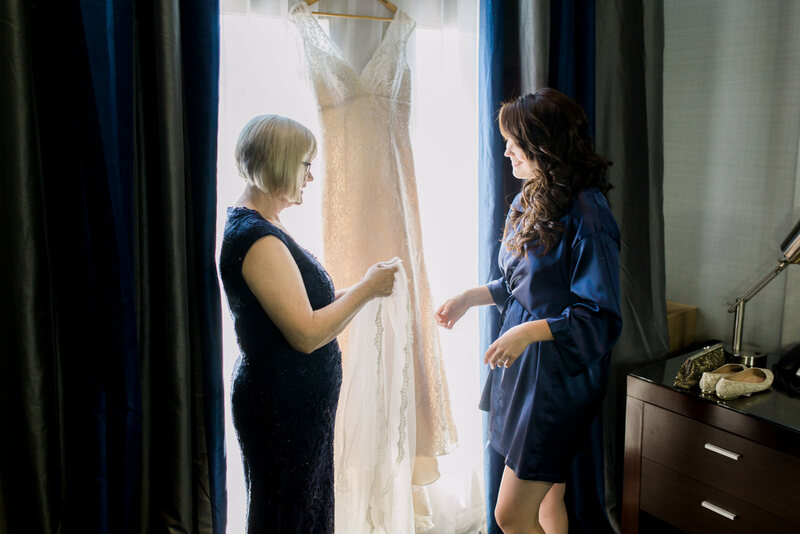 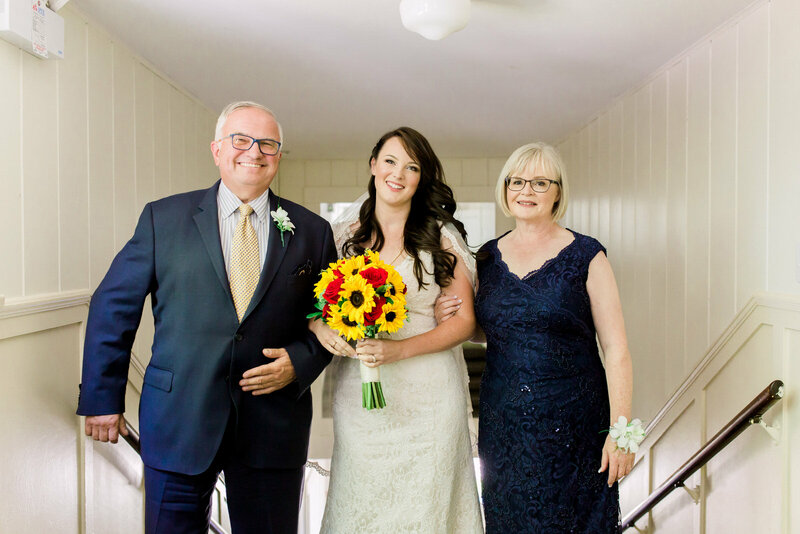 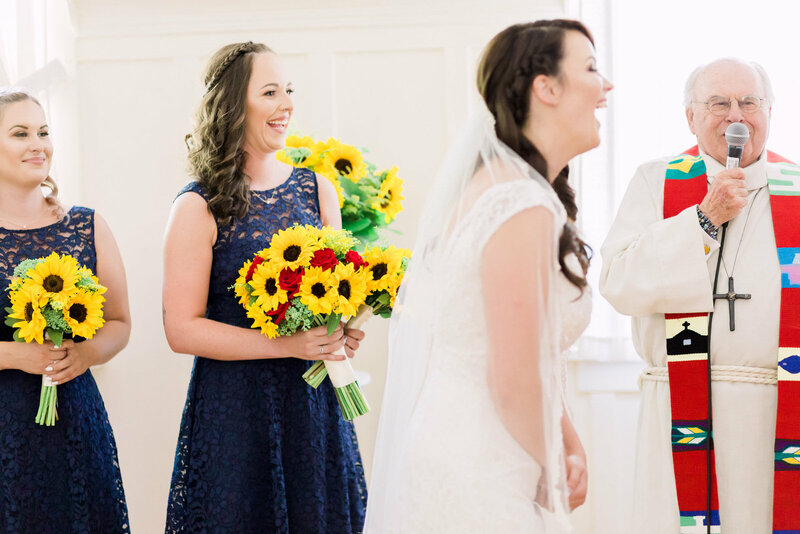 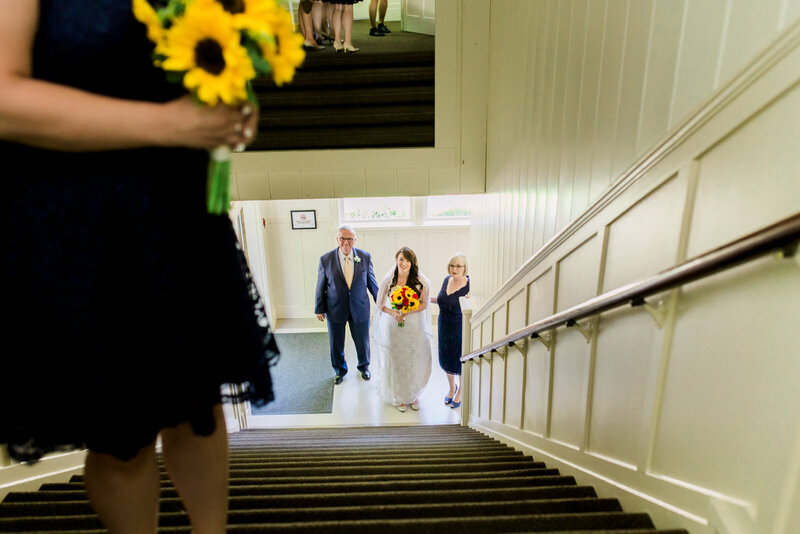 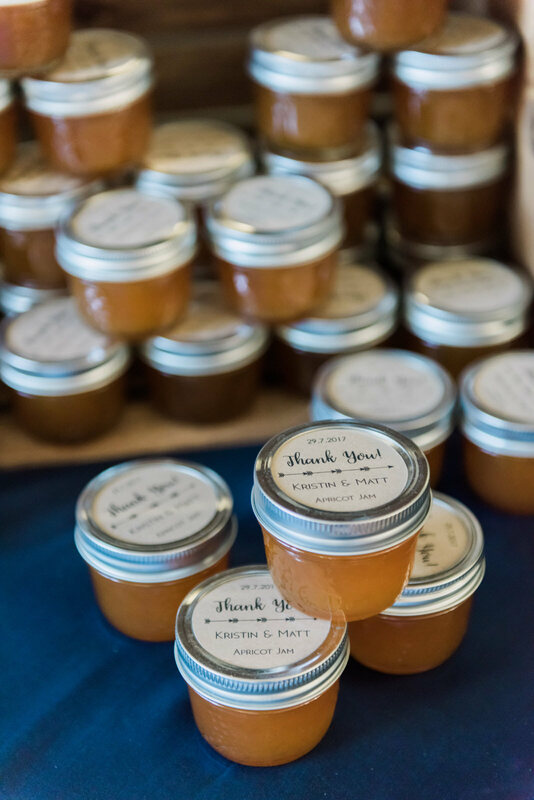 It was a contemporary country themed wedding, replete with lace, sunflowers, country music and lawn games (homemade Yardzee) – sans cowboy boots, tho! 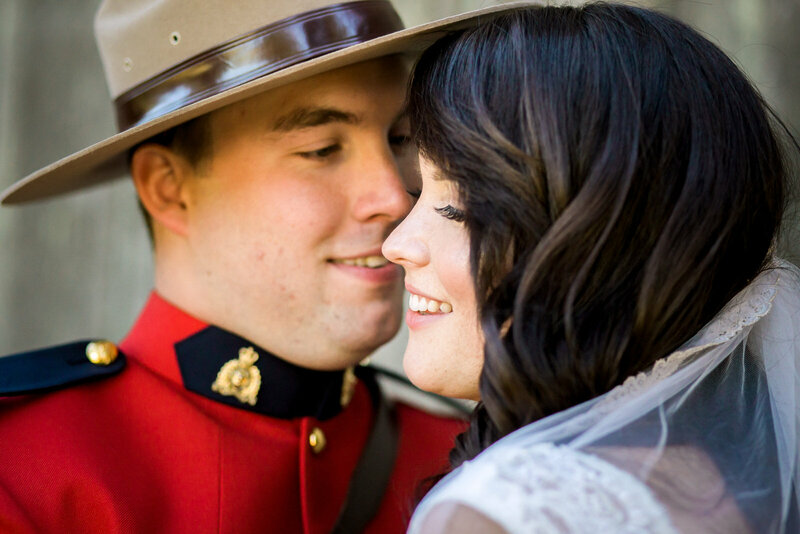 You may remember these two from their Snowy Winter Engagement Session & snowball fight. 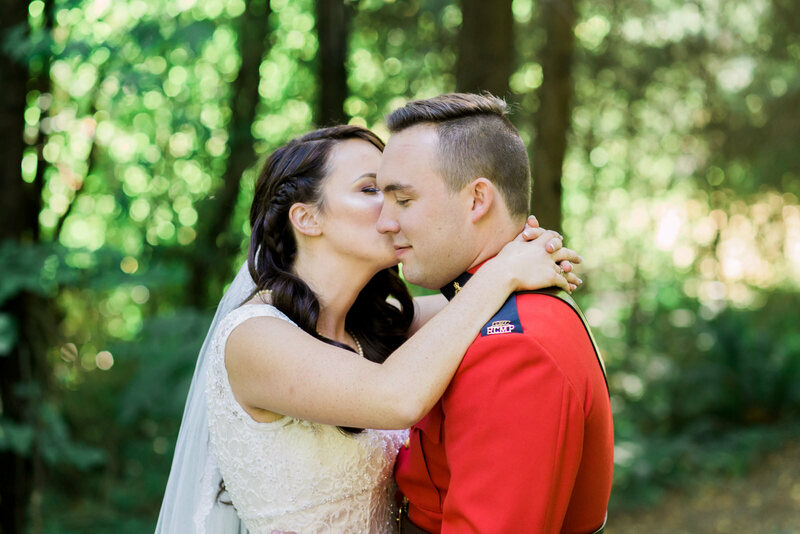 Kristin caved and connected with Matt on social media. 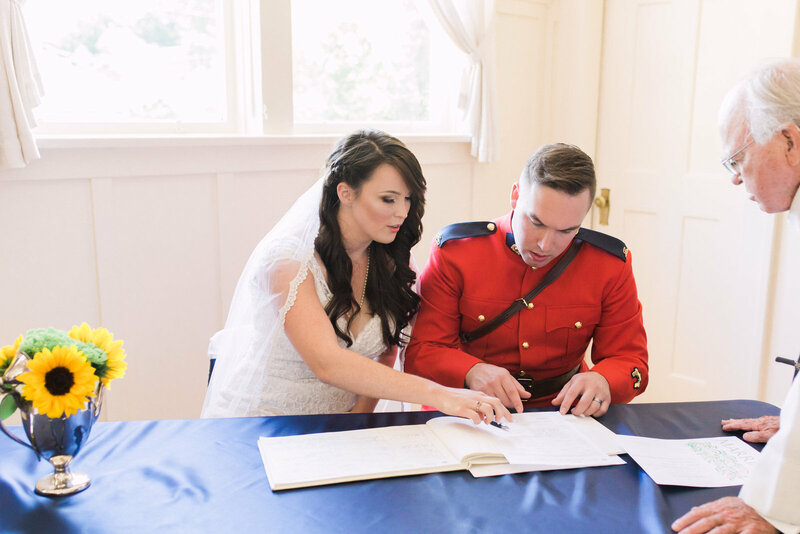 He suggested a time and place…and the rest…well, it’s history. 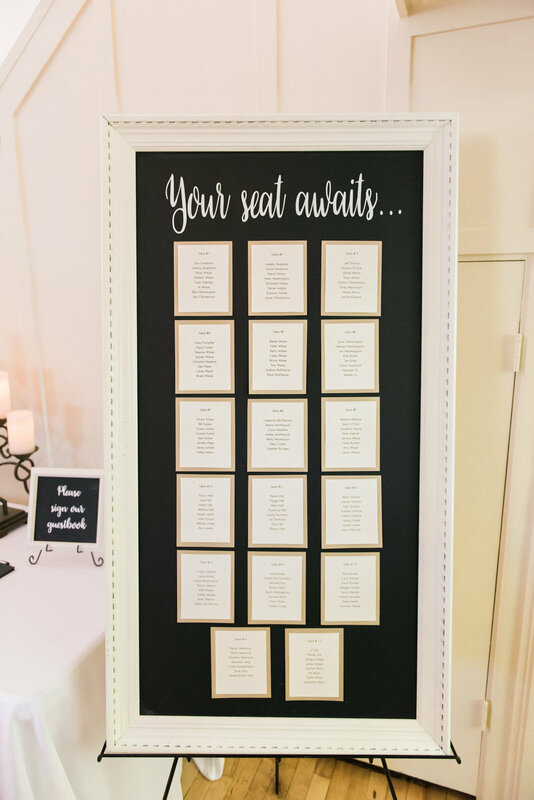 “Simple, but a little quirky. 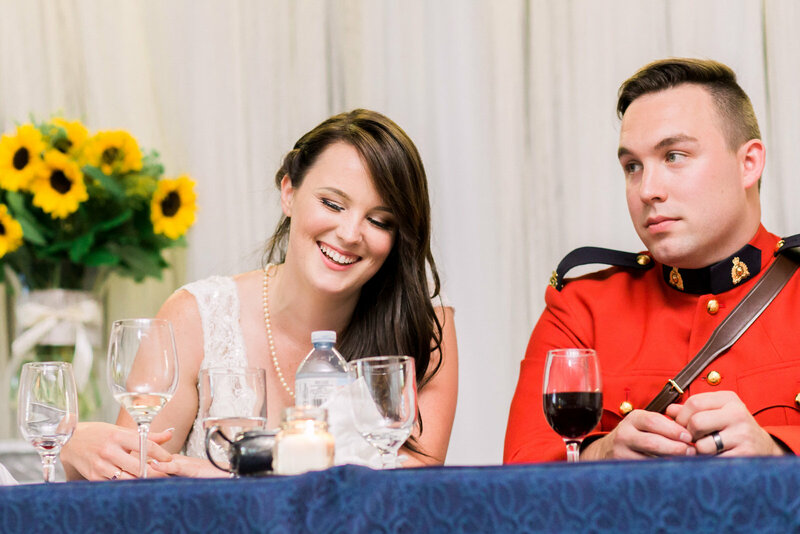 Matt was working a night shift the evening before my birthday, so I was home alone. 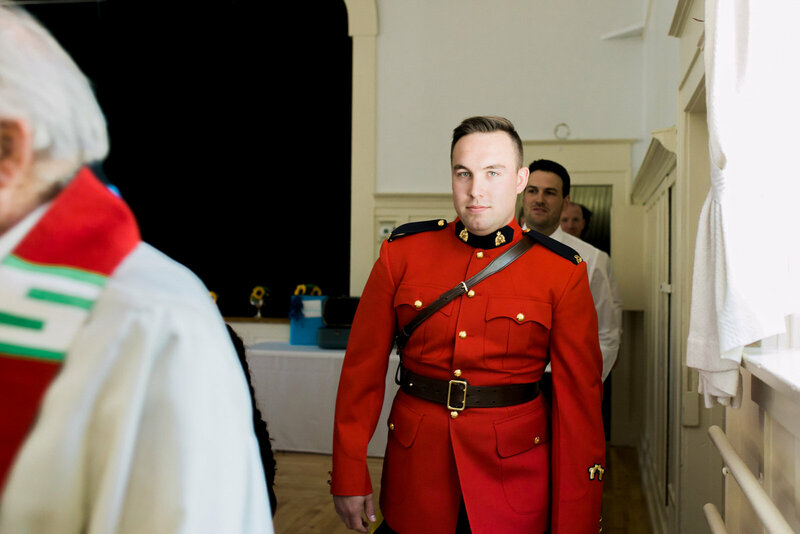 I called Matt in a panic late at night, thinking someone was breaking into our house. 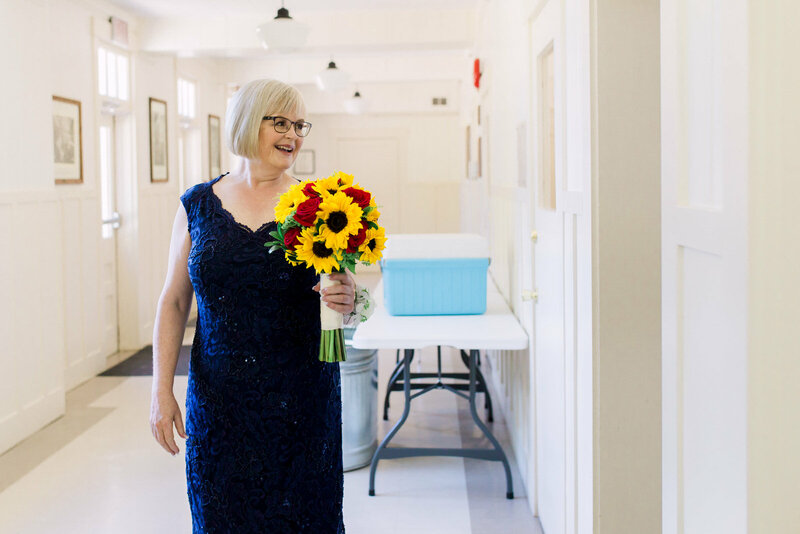 After checking each room and reassuring me I was just hearing things, the clock hit midnight and it was my birthday. 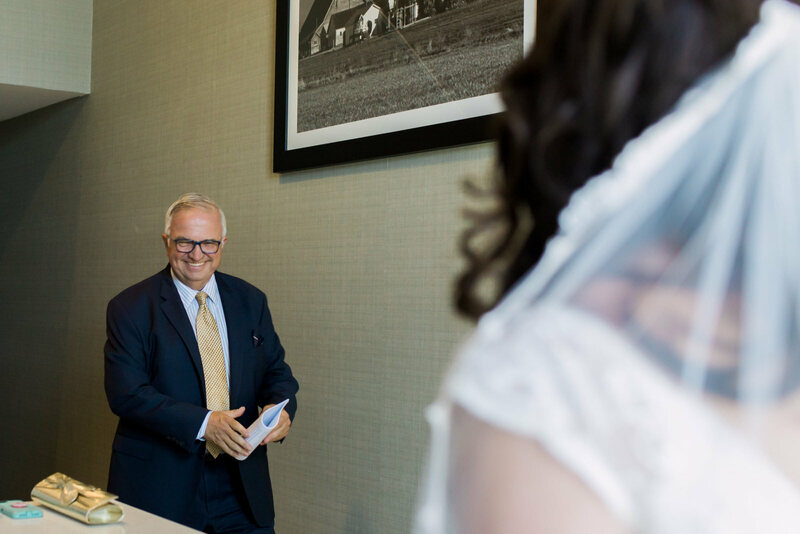 Whether you’re a quintessential couple or a totally off the wall duo, I love to photograph couples who design their own day. 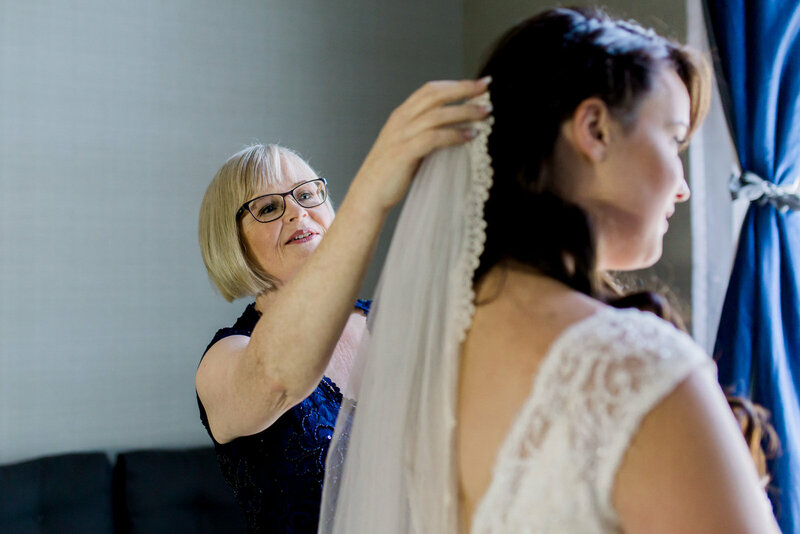 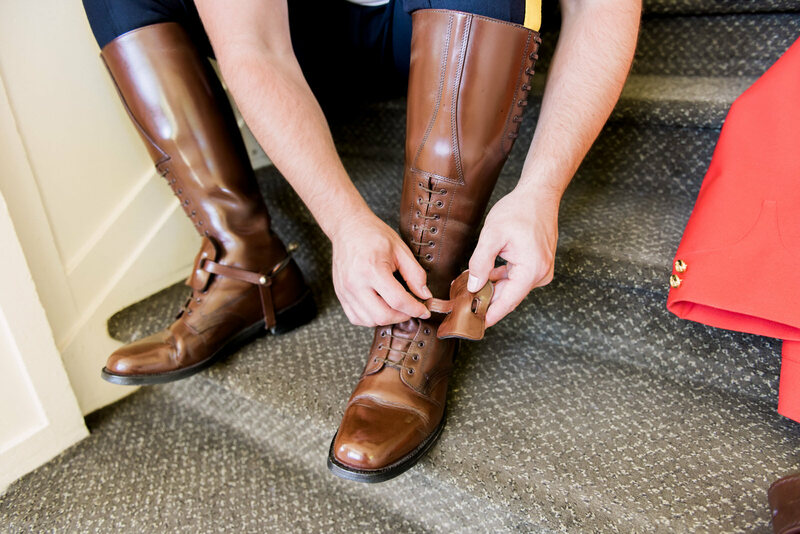 Don’t forget to get in touch – summers are short, and weekends book up quick! 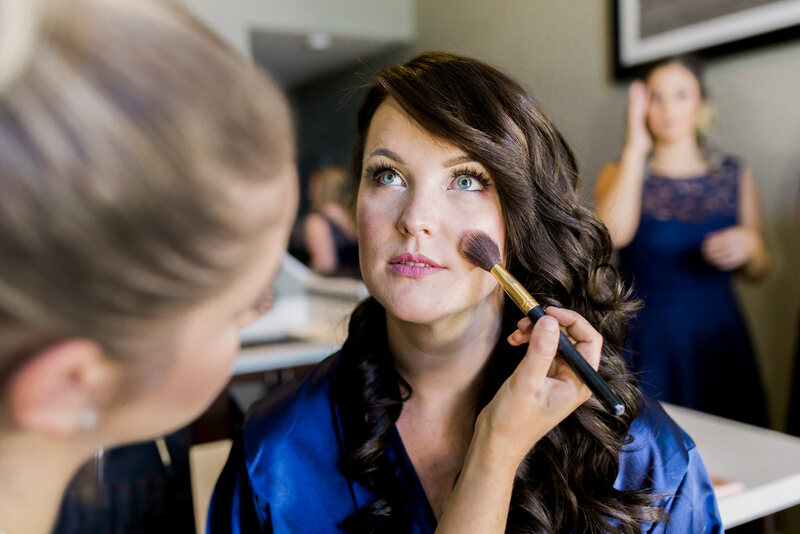 Contact me, today! 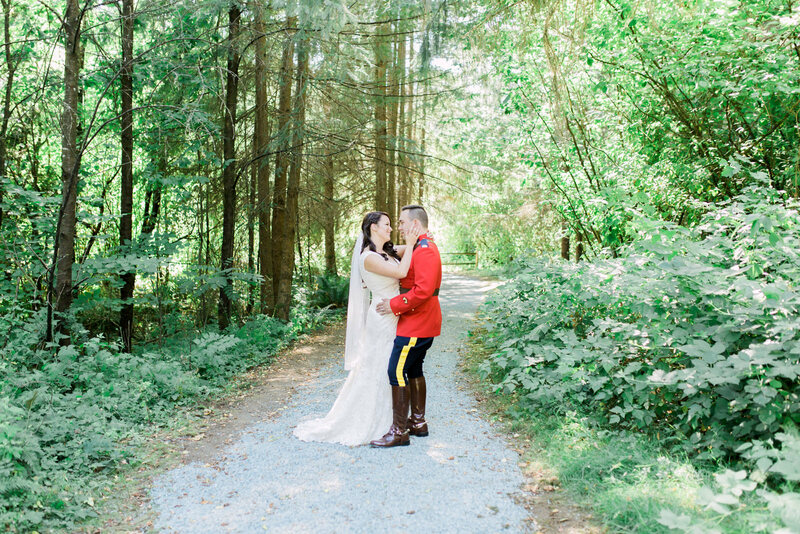 For more stories visit Kristin & Matt on my Instagram feed.